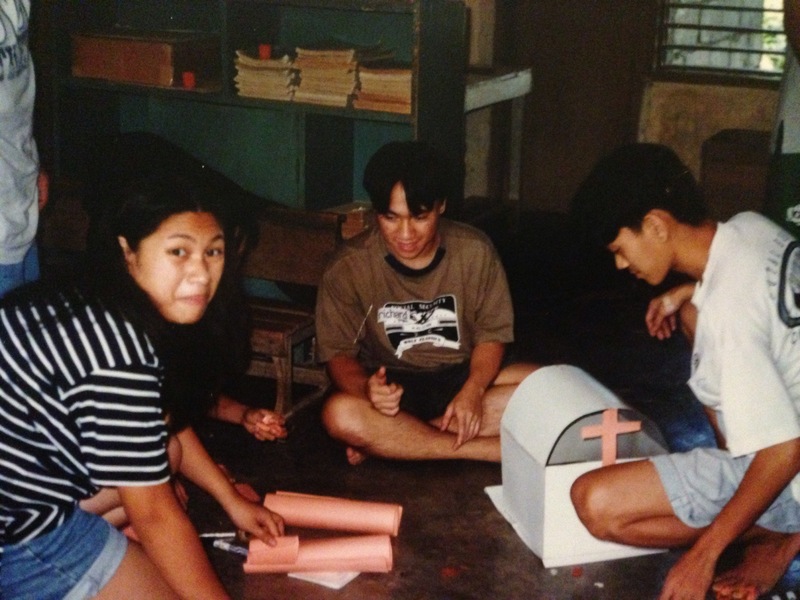 Just want to share my experience with non government youth organization in the Philippines, May it be somewhat serve as an encouragement on our youth to be active in the community.There are lot of things that can be done. Lot of organization to get in. 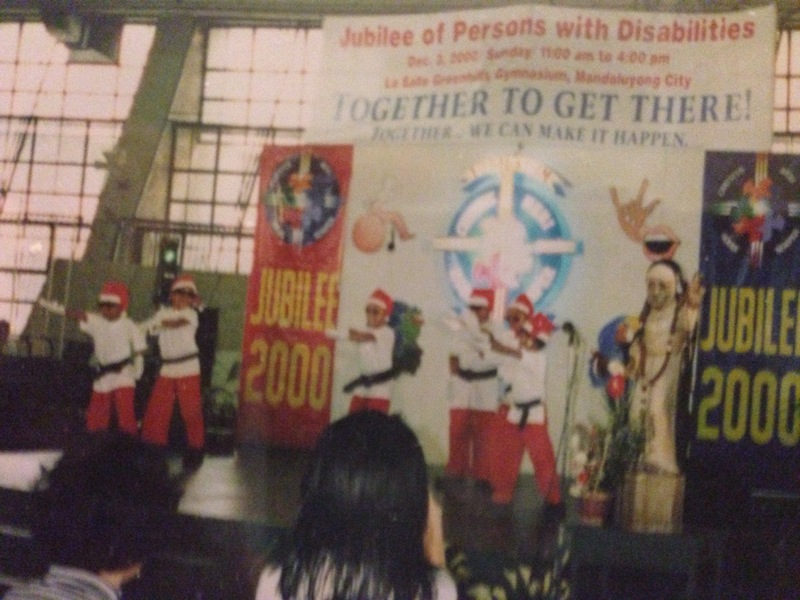 youth from the church.Kabataan sa Paroka. 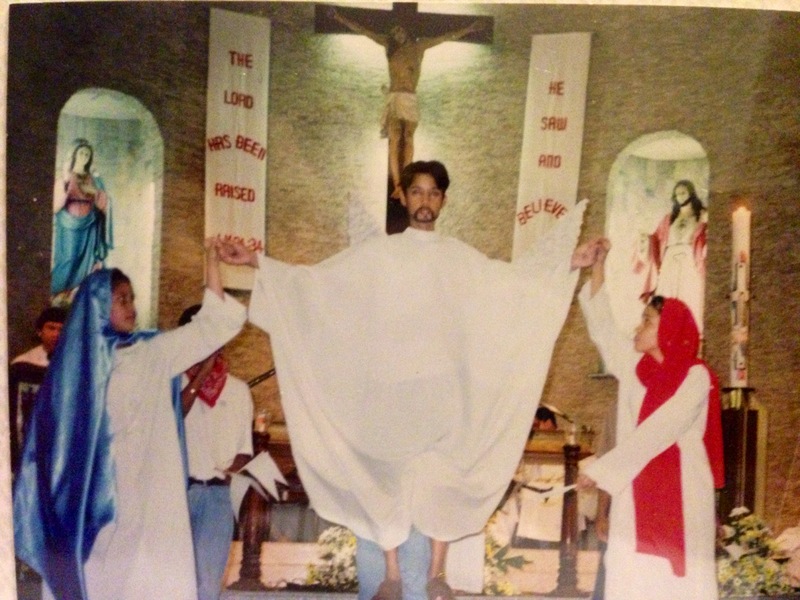 Early 90’s I joined the National Shrine of the Sacred Heart Charismatic community and was again doing some project with the youth as like in the We pray, we sing, we worship. <a href=”. 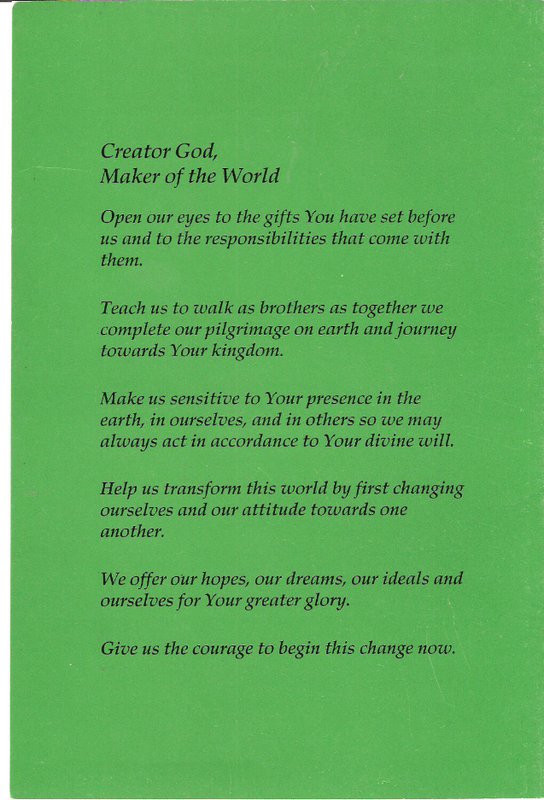 Our Parish Priest asked me to head of the Parish Youth Council 1995-1996. 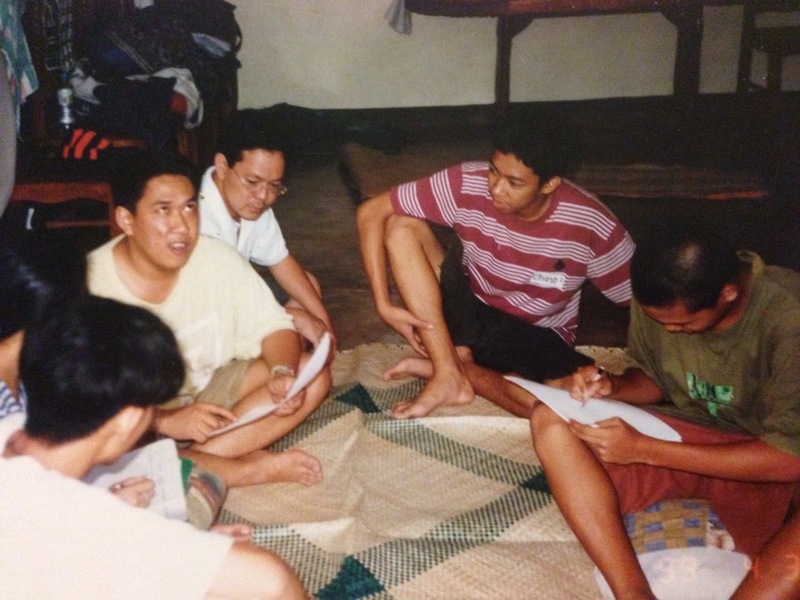 We have spiritual youth workshops among the different community and church youth leaders. Posted on September 12, 2014 September 1, 2016 Categories UncategorizedLeave a comment on Life with our community youth leaders. Barangay Making a difference. 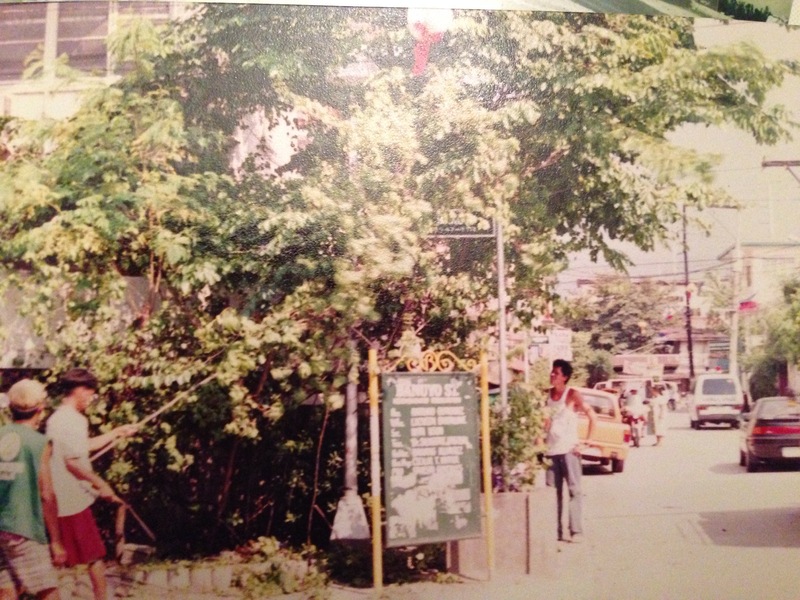 San Antonio Village, Makati. 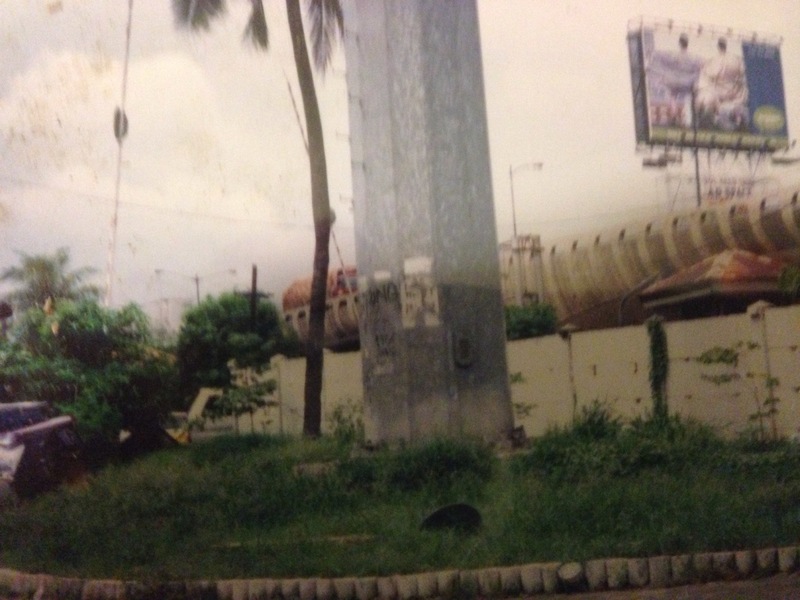 Manila Metro Authority is moving mountains to make things in order. Many people are just seeing problem in our surrounding and not doing anything about it. We need to act. Barangay has a lot of power to bring forth changes. 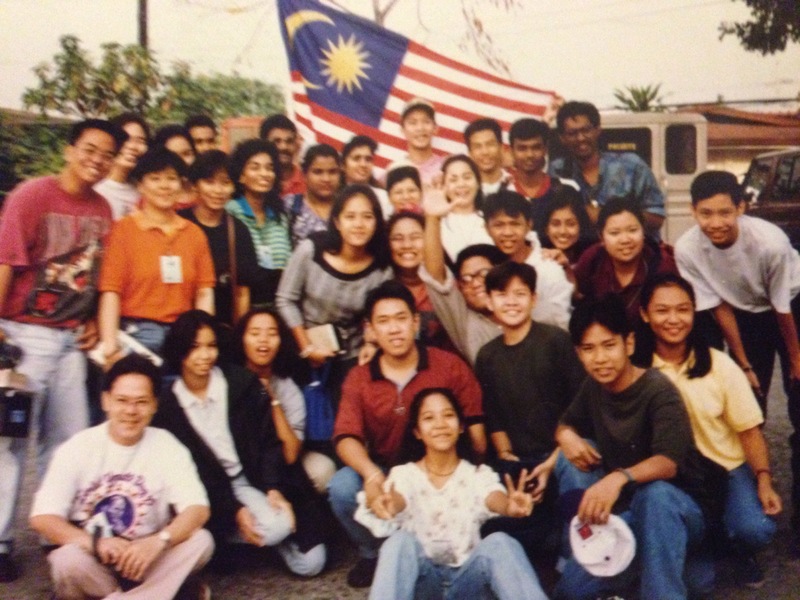 Just sharing what we did in the past as our contribution for the next generation. 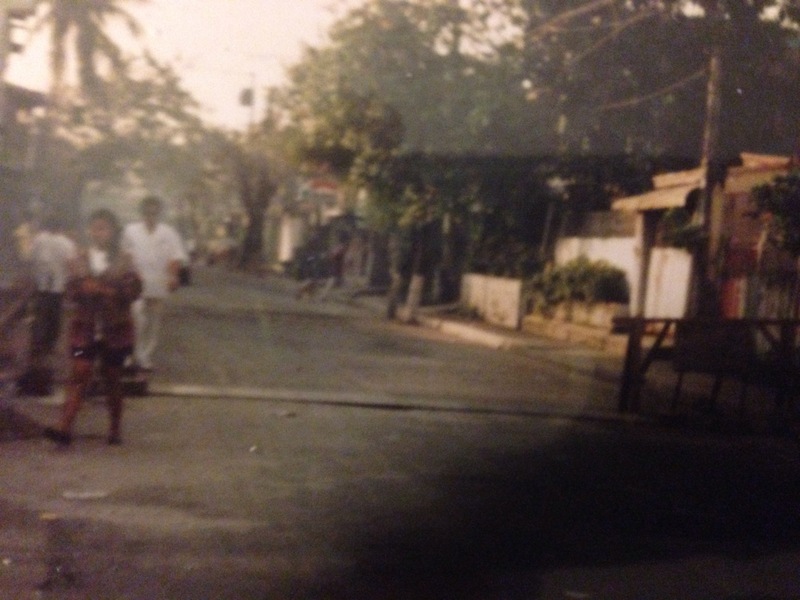 San Antono village in 1990. 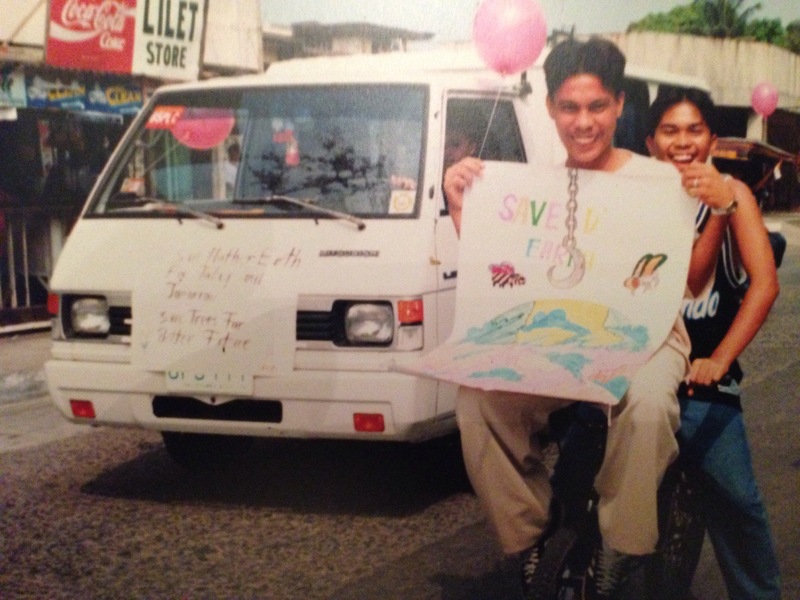 Many years ago as a child I keep on looking at our window watching students and office workers riding at a kariton (wheel cart) or floats for a fee, I told myself that there should be done about it. 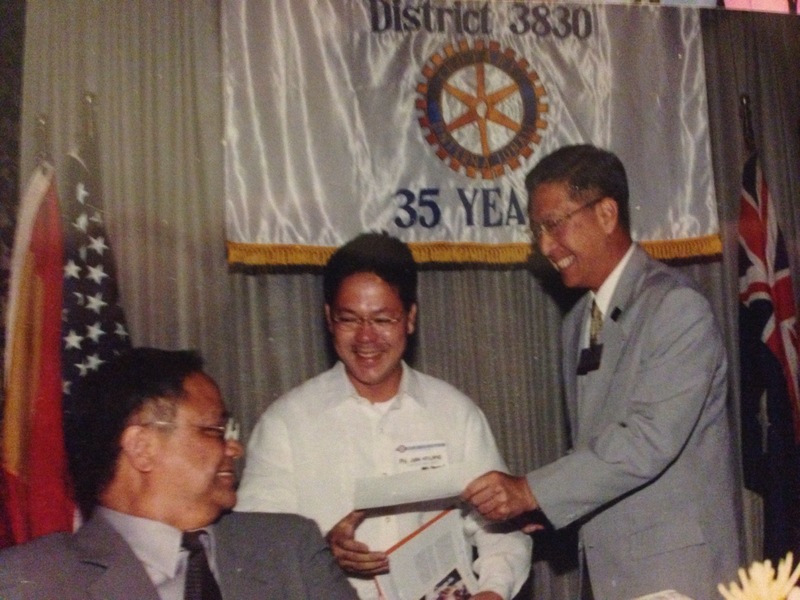 That opportunity to work on it became possible when I was elected as a barangay “Community ” councilor in the 90’s. 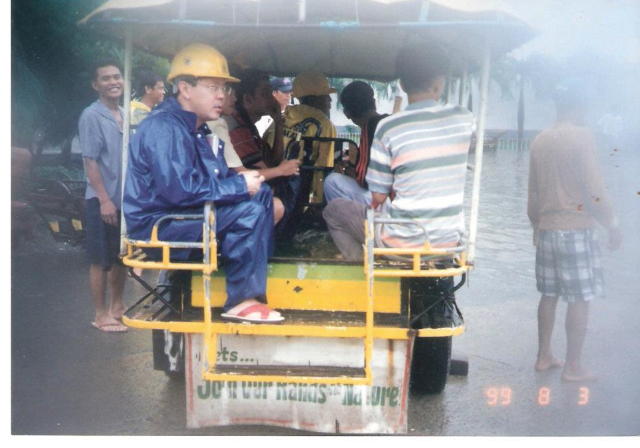 Heading the Engineering and Public work committee, we made a barangay based flood control project. We started our work by studying the overall flood situation. 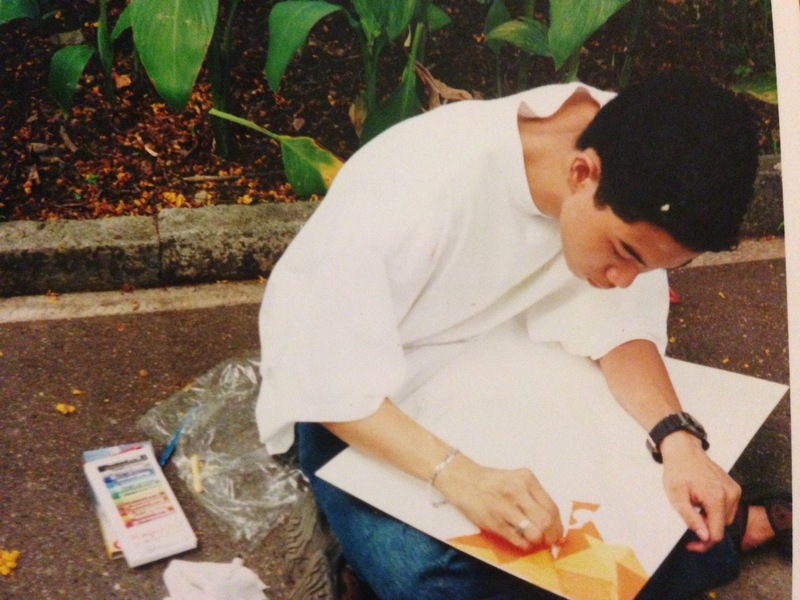 One of the things I learned from this study is the role of nature. When rain pours during hide tide expect flooding in the area. 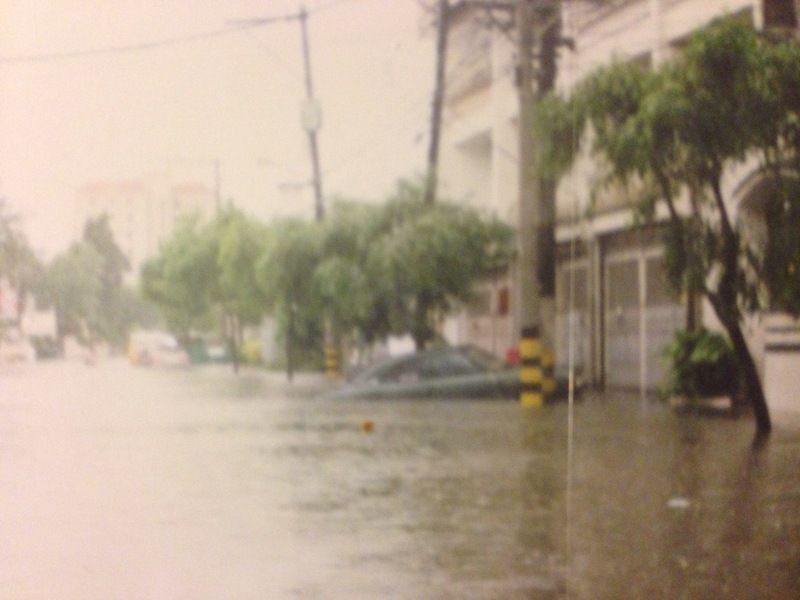 Flood water in our area flows to Zobel Roxas, Calatagan creek to Manila Bay. We literally looked on the situation of Maricaban creek in Pasay and Trippa de Gallina up to the pumping station going to Manila bay. 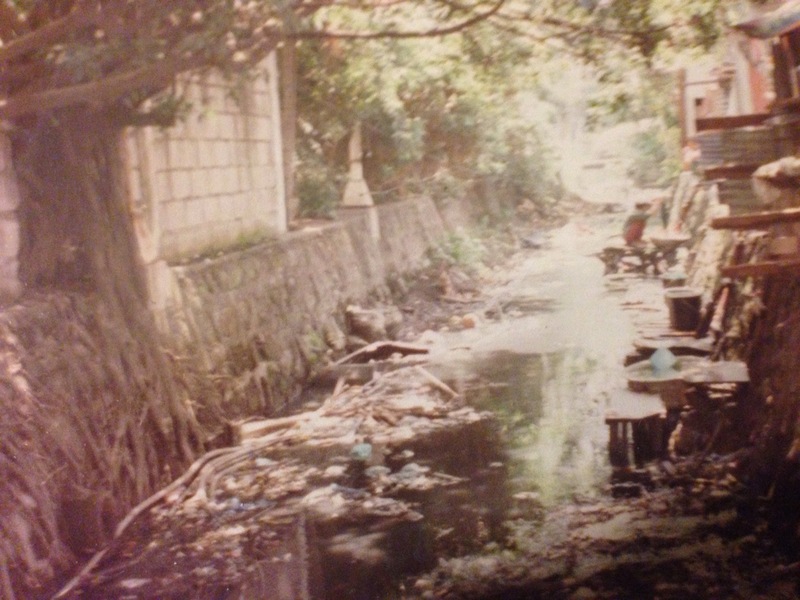 We believe that all our efforts would be useless if there are problems on creeks and tributaries leading to Manila bay. 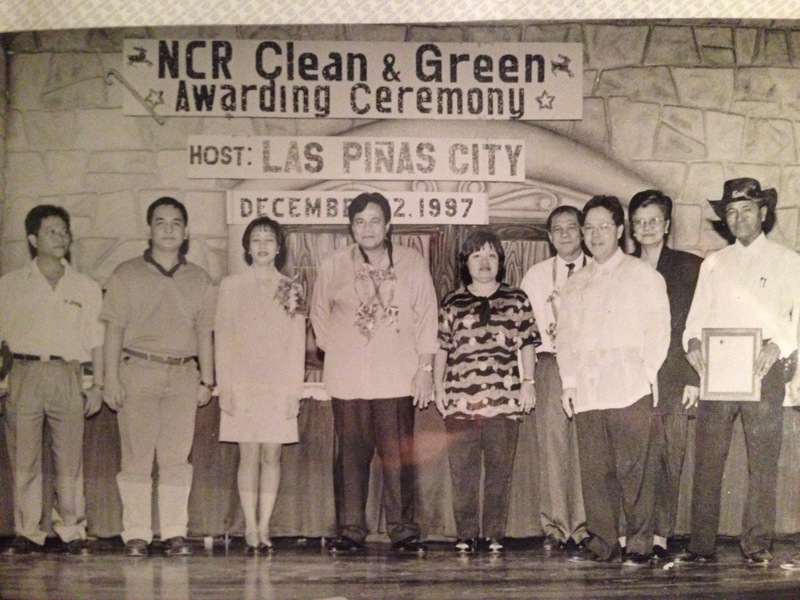 While serving in the Barangay and as a member of Makati Task Force on Solid Waste MAnagement, I was designated by our Mayor to be a committee member of the Pasig River Rehabilitation Program representing our City Engineer. 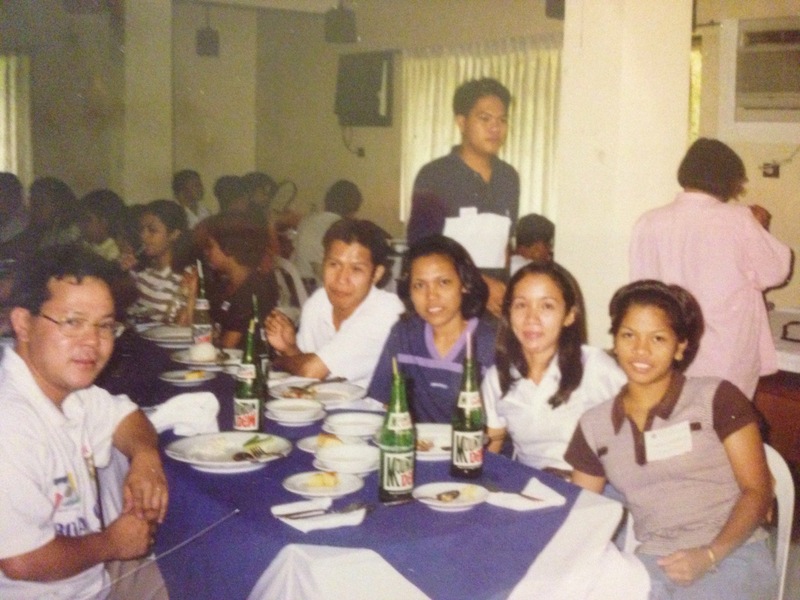 during that time Philippine Port Authority. NHA, LGU, DENR works hand in hand in solving this problem with the help of Non government organization and other institutions. DENR as a lead agency with the office of the President are doing the move to push LGU to do their part. 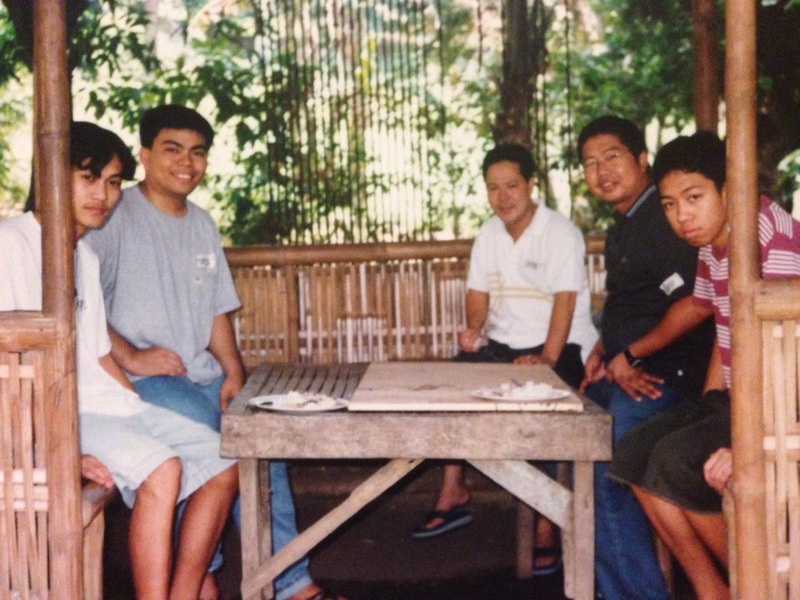 Unfortunately, the political will dropped after politicians where placed to lead the DENR. 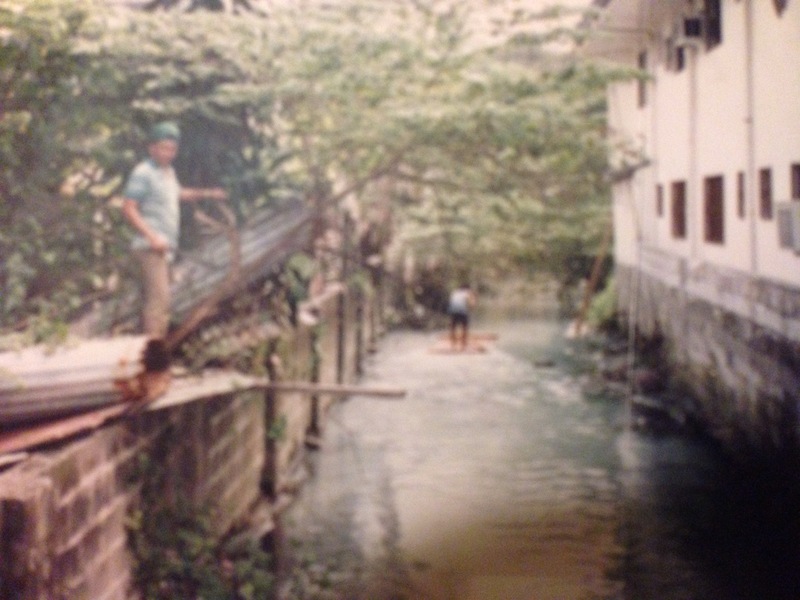 In our barangay we saw a lot of changes, No more fish can survive our canals. No more dalags, Hito, gurami, goppies. Everybody is just throwing away garbage anywhere, paints, motor oils in our canals. Fast forward, We could only conclude that we did our job done is when there was noticeable improvement of water quality of flood water in our streets. One of the significant achievement that was done was the enforcement of environmental compliance issued against two multinational corporation that were not using their waste water facility and instead dumping it in our canal. One was a paint company and the other was a Big detergent corporation. We the barangay did our part to ensure order. Yes you heard it right. 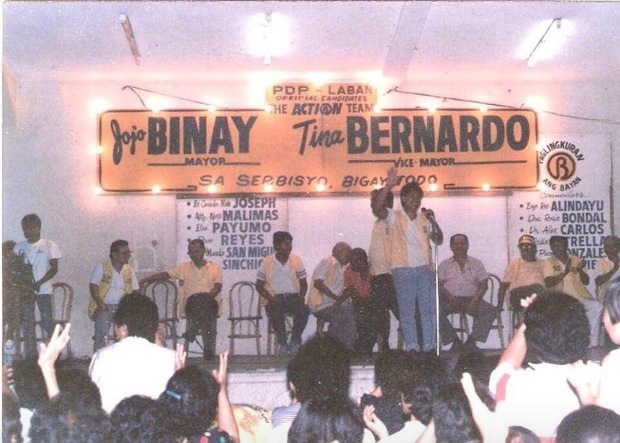 Barangay Political Will. All non movable vehicles were removed from our streets. Business are warned that if they will not removed those junk vehicles the barangay will not renew their business permit and will pay for its removal. 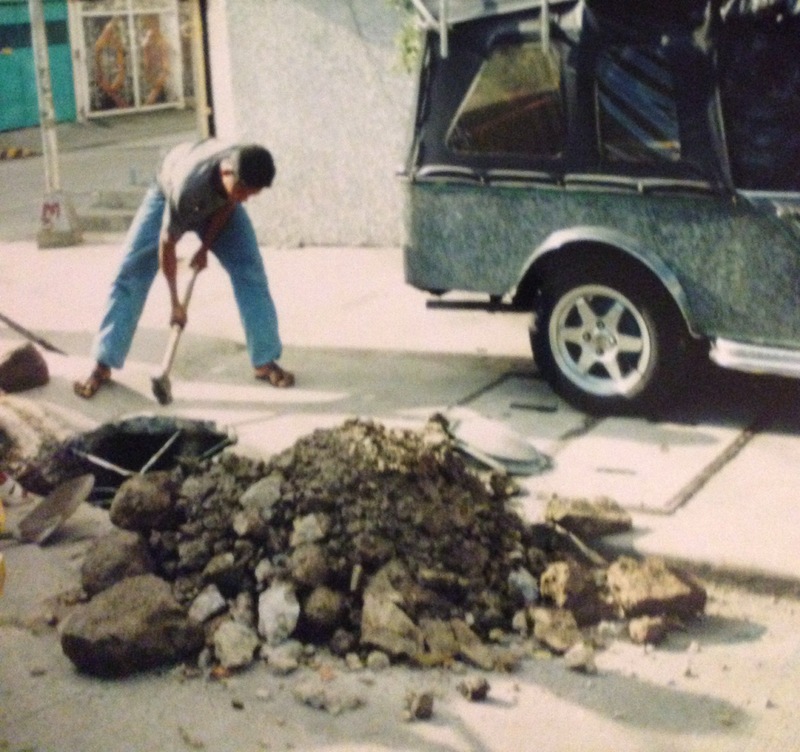 We are concern with the safety of our constituents, with that said, barangay do minor repairs of sidewalks. 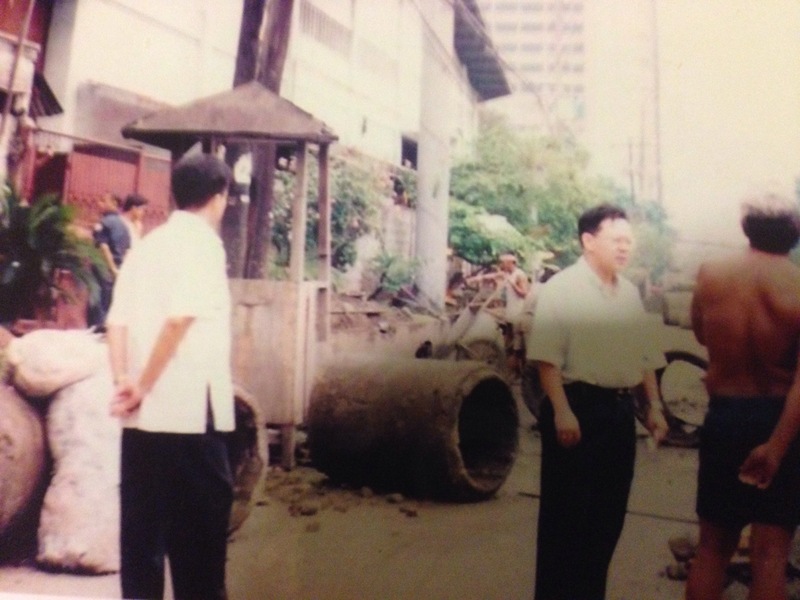 Construction and other demolitions of structure are monitored. Business are warned of possible action for any illegal dumping of debris, gravel and sand that ends up in the drainage. In one occasion we asked the City Engineering office to enforce a stop order of a construction firm that had ignored our warning. 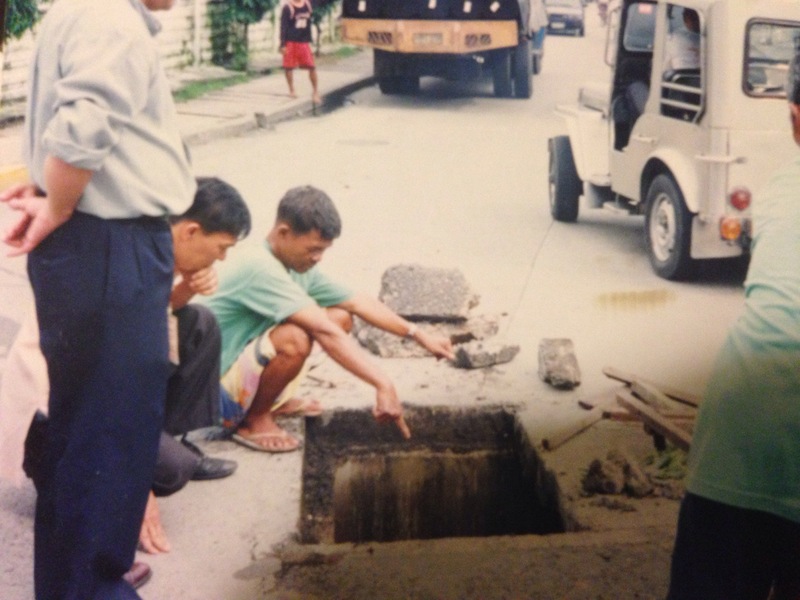 Barangay inspect drainage and its outlets. Government flood control projects are monitored to ensure program is done on time and on its specification. 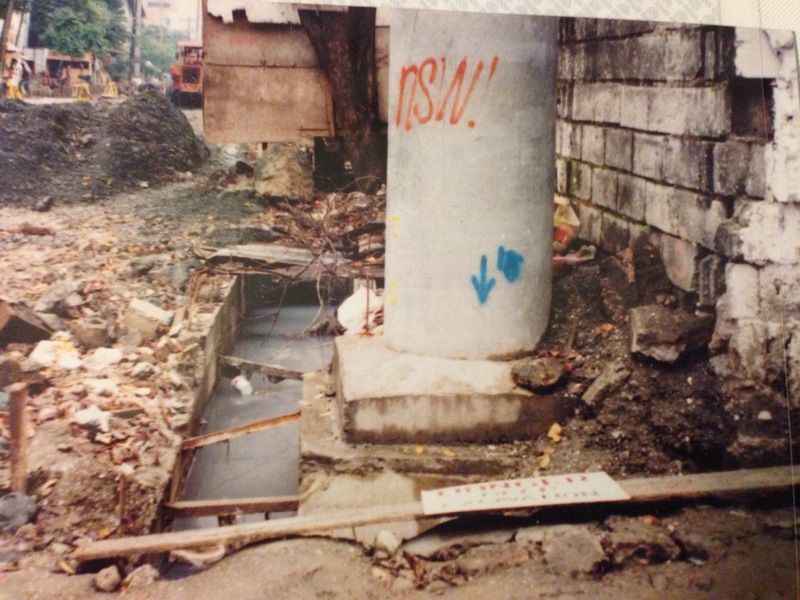 The BARANGAY impost conditions on infrastructures in our barangay. 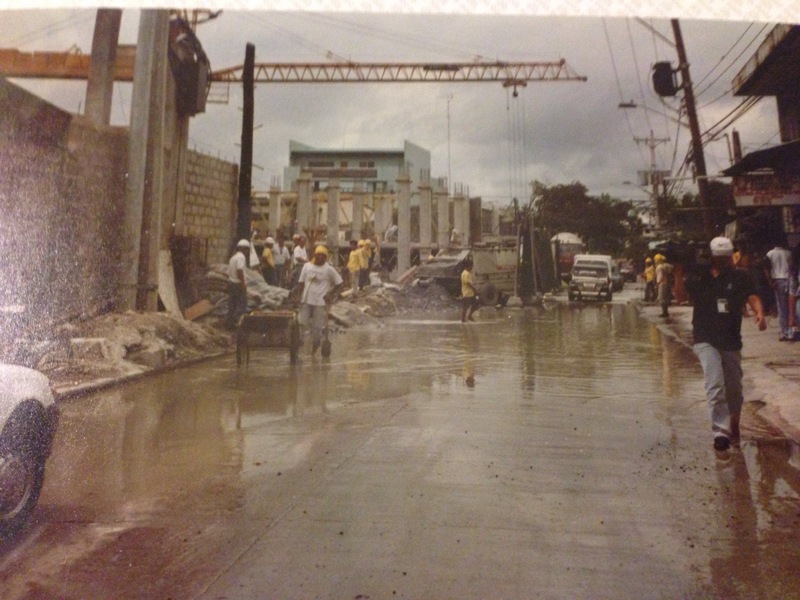 This PNOC post was only allowed when they promise that it will not obstruct our canal, they provided a new covered waterways to ensure of a continues flow of water from Buendia to Vito Cruz. 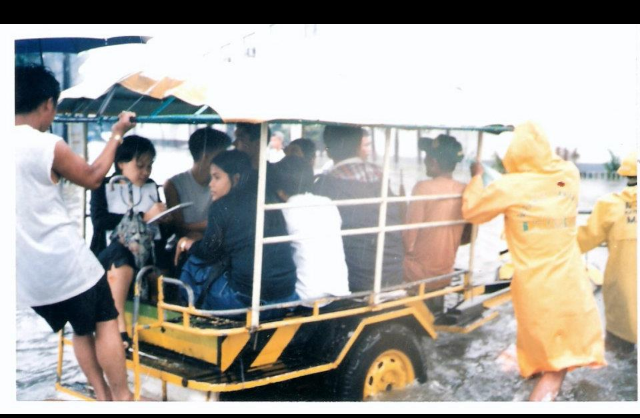 Flood control programs done in our barangay. We requested the city engineering department for plans and have it funded by the local goverment. Flood control programs that is not under the jurisdiction of the Local Goverment are made in coordination of the Department of Public Work and with the barangay request for funding from CDF funds of Congressman Joker Arroyo . Roads debris is are being cleared to ensure it will not end up in our drainage. 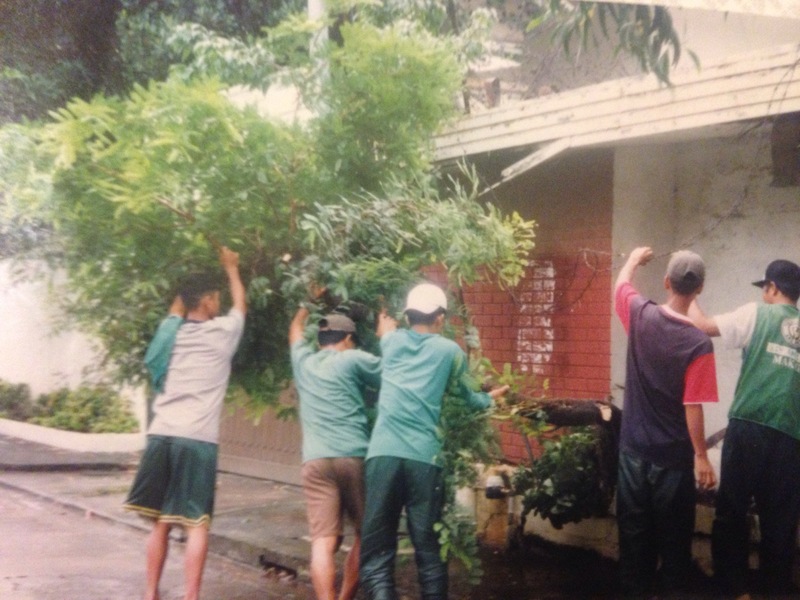 Barangay cleaning our creeks. A whole year work. 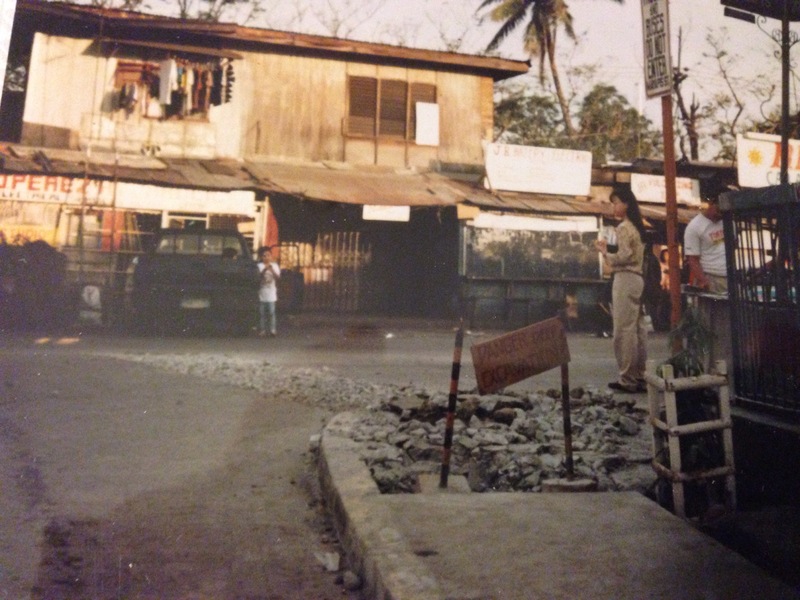 The barangay had removed pig pens, storage, debris, wood frames crossing the creeks and it was done with a strong political will. To answer our problem of dumping garbage on sidewalk we cleaned it up and beautify the area. 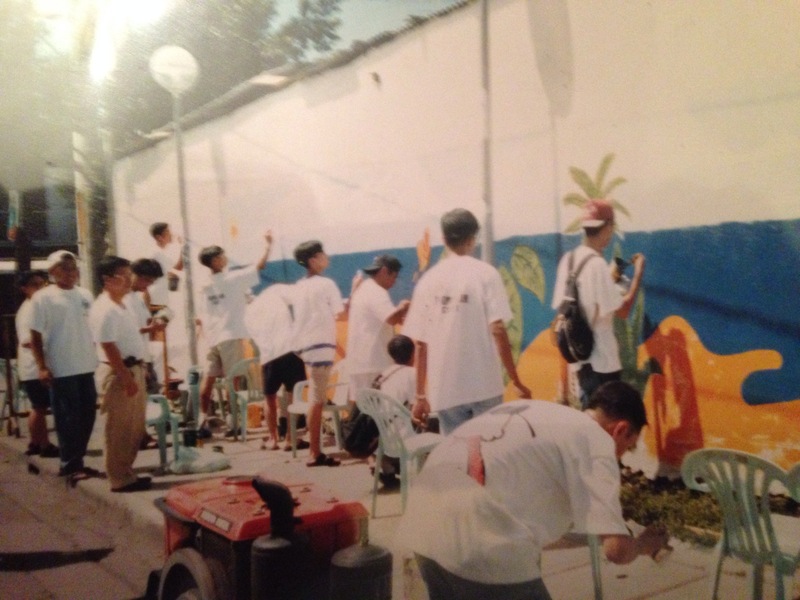 Photo: UST students in 1998 painting murals on the walls that were previously full of junks. We also had a pinta pader contest among the youth sponsored by business in our community. 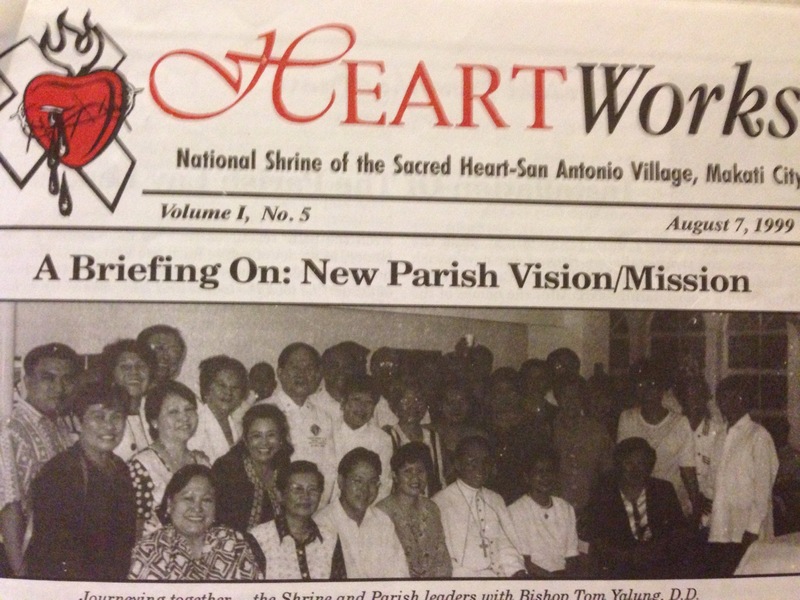 It was even published in Manila’s newspaper Phil Star . 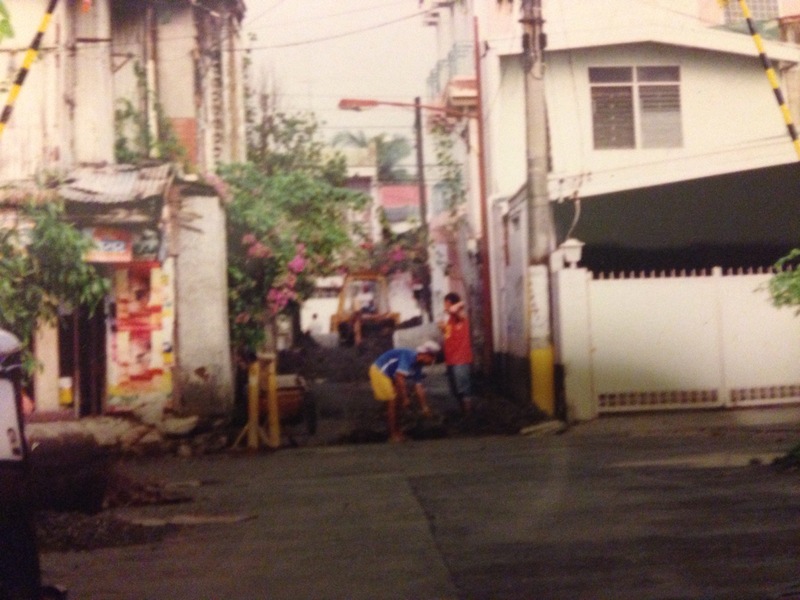 Obstruction of sidewalks are cleared by the BARANGAY. Public Transportation illegally entering our residential areas are apprehended. We did our part and this is our Story. 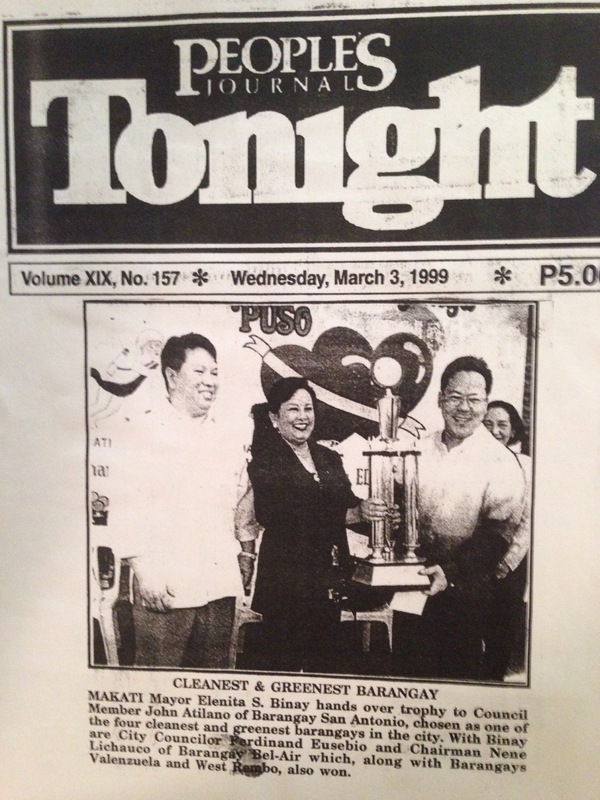 Barangay winning one of the cleanest in Makati. Kudos to our great Barangay Captain Ric Alindayu. It is his term that we were able to negotiate for additional land that we need for our Barangay Covered Court. This is my greatest dream for our youth and the community. Mission done. 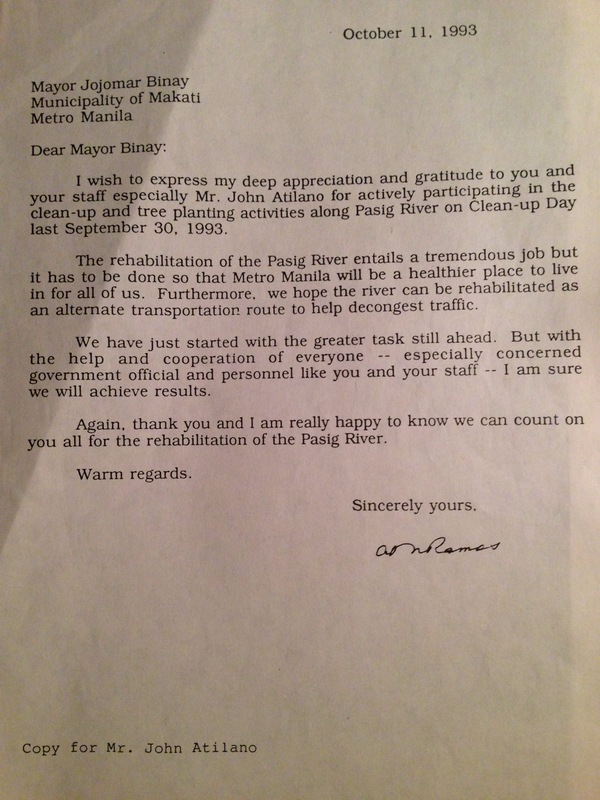 Thanks for Mayor Jejomar Binay. Join us to make our world Better. 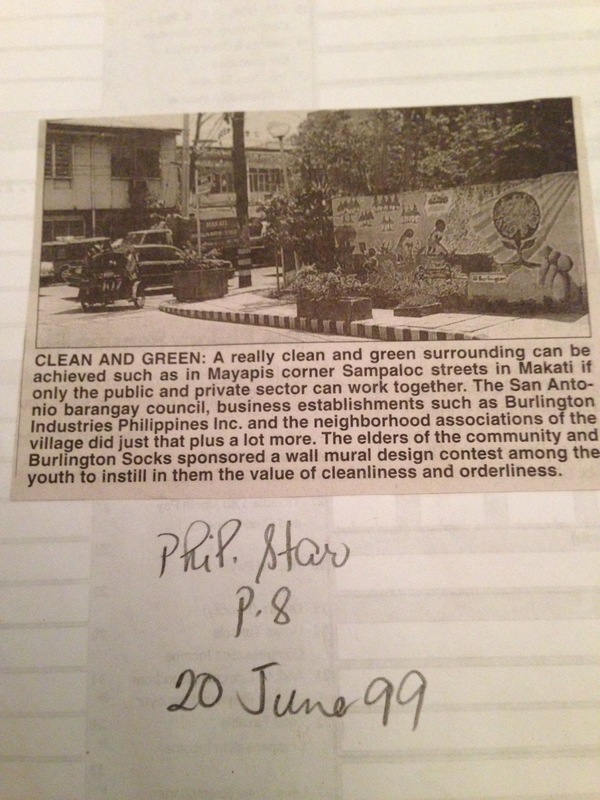 Posted on September 1, 2014 May 13, 2018 Categories UncategorizedLeave a comment on Barangay Making a difference. 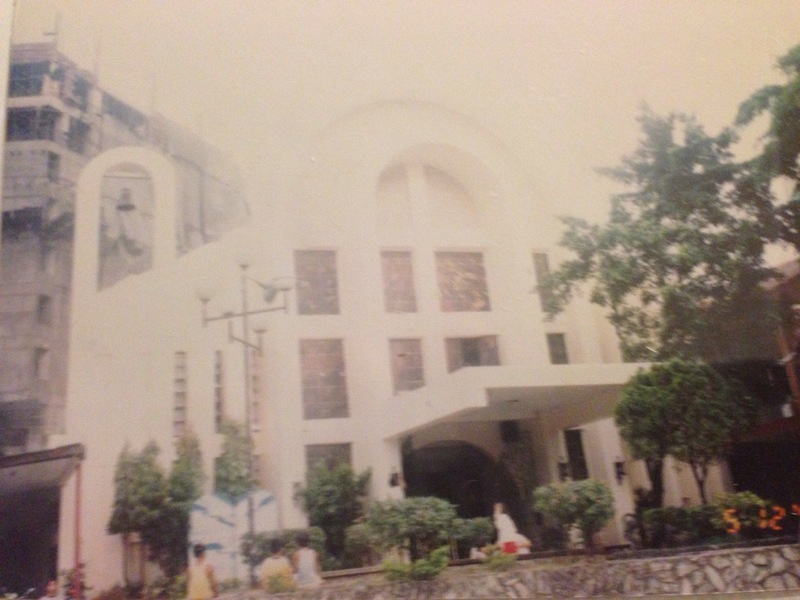 San Antonio Village, Makati. 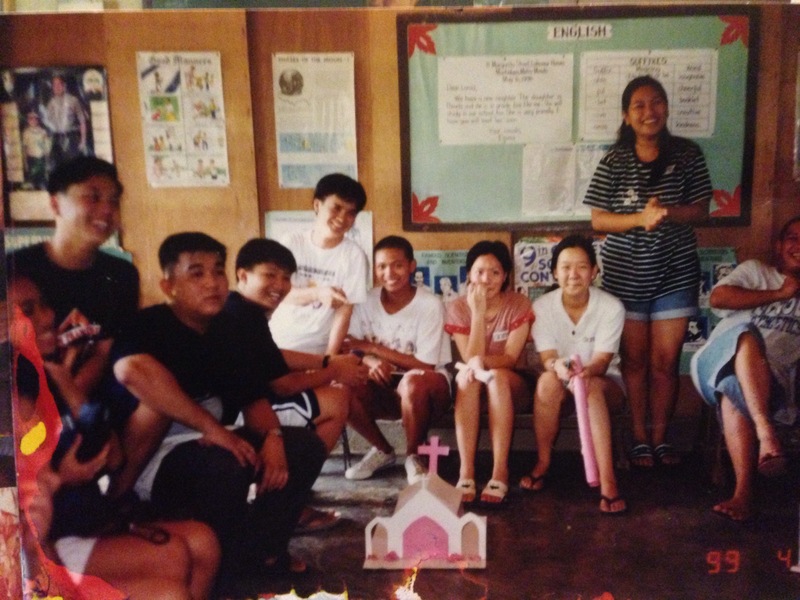 Continue reading Life with our community youth leaders. 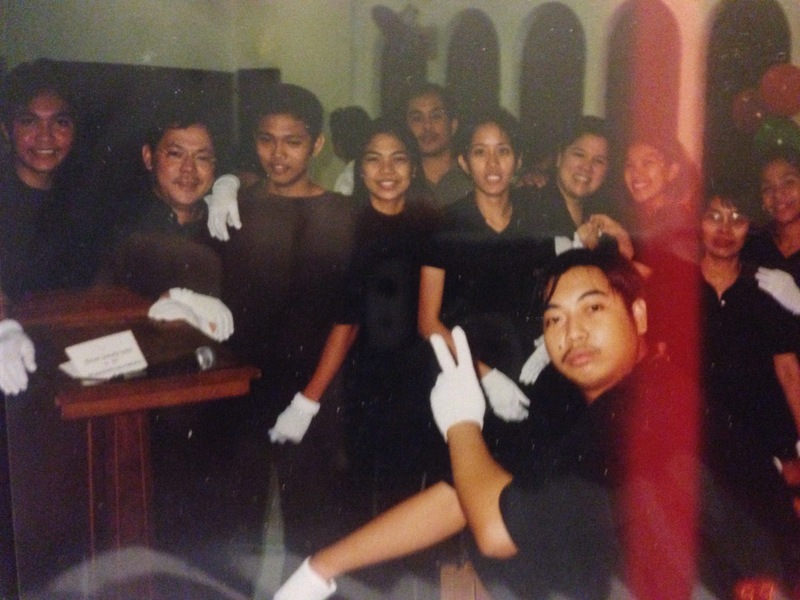 Posted on August 28, 2014 May 12, 2018 Categories Uncategorized1 Comment on Life with our community youth leaders. 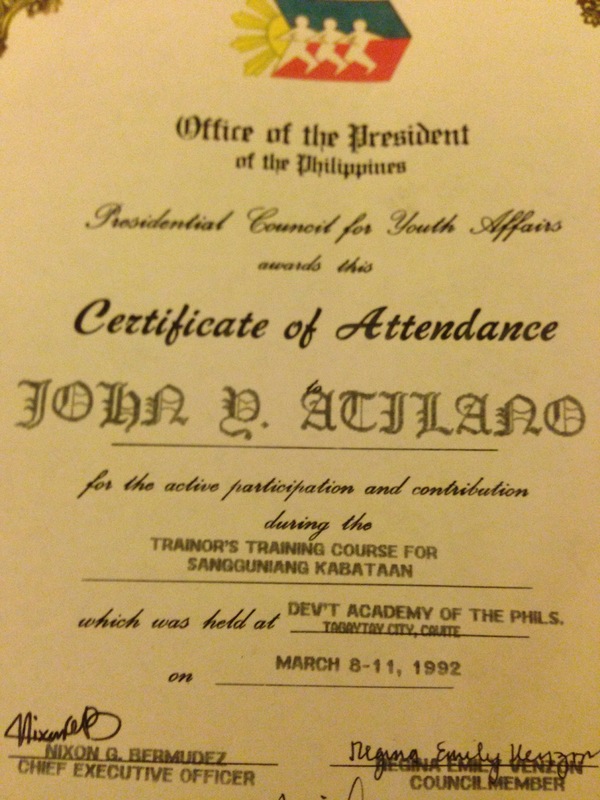 May 26, 1980 I participated and was elected youth leader in our community and with about 3 million Filipino youths aged 15 to 18 years old. 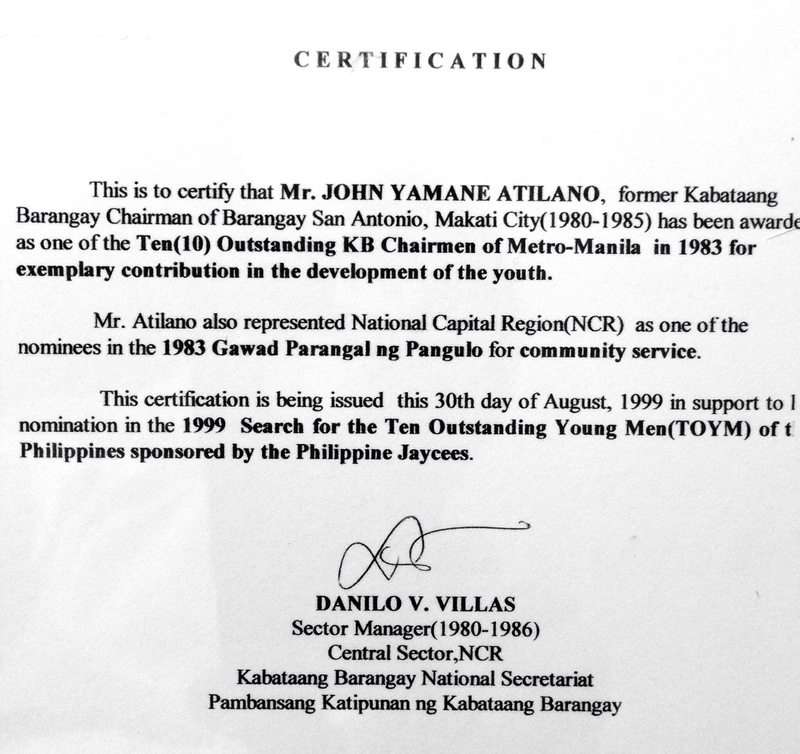 This has given me the opportunity to serve our community as a youth chairman or Kabataang Barangay Chairman in San Antonio Village Makati. 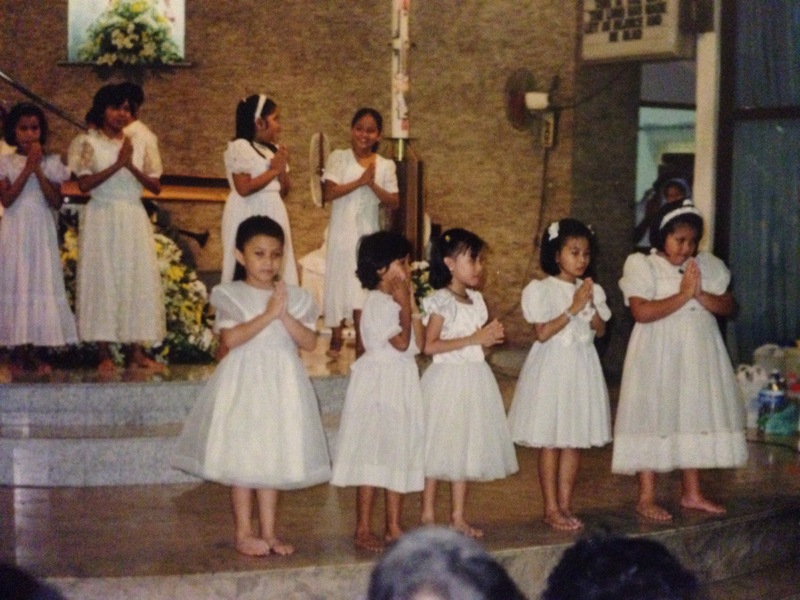 I remembered Praying to Santo Niño the night before and asked Him to help me win that election and He answered my prayers. I won by a margin of one vote and it became a challenge to me to give the best as I can and not to fail them. 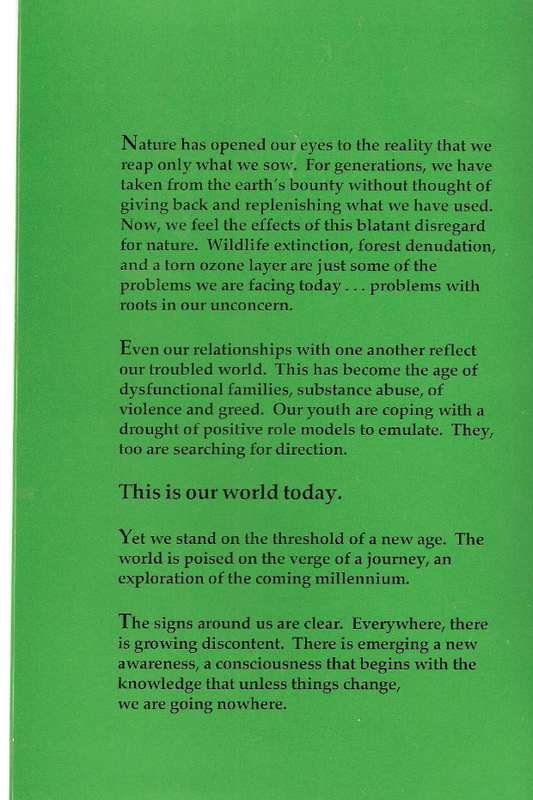 This is a new beginning, a purpose and meaning of life. 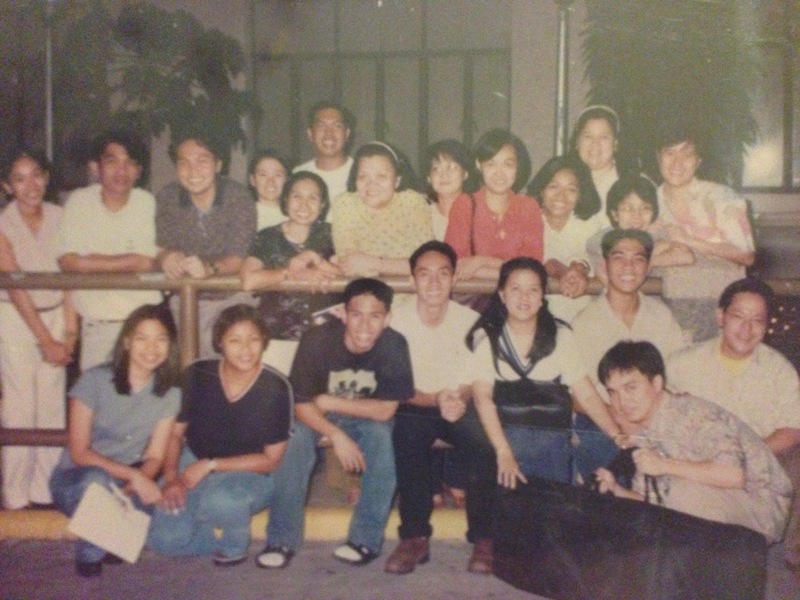 “Ako at ang Kabataan”. 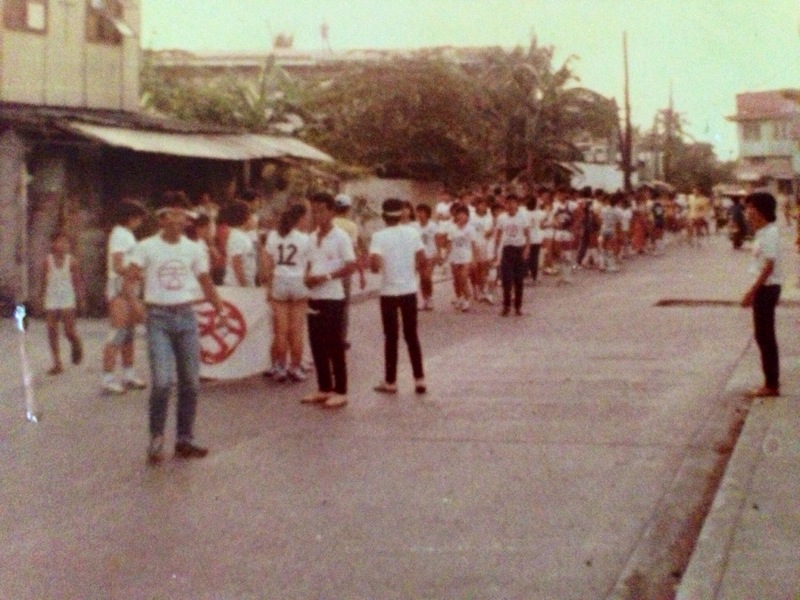 (Photo 1980-81 : This tournament for kids is played on a half court and got many parents involved. This program is free for everyone including the uniforms. We introduce Ants (8 below) and (10 years old below) Mosquito division basketball tournament. People enjoyed watching the kids play. A bonding time for the family. This is now being implemented in all barangays in Makati. As a youth chairman, you become an ex-officio member of the local community council having the same rights and privilege accorded to them. This enables the youth to participate in program planning and to vote on ordinances and resolution deliberated in their barangay. Each community has an elected KB council, treasurer and secretary. Each Chairman elects among themselves to form a KB Federation officer that chairs different committees in preparing programs and projects in each barangays as what we have in Makati. 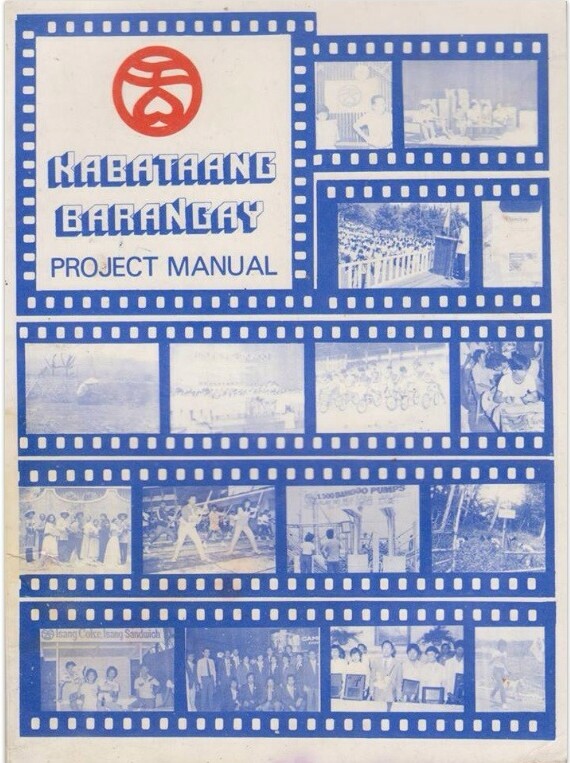 Kabataang Barangay was allocated funds as mandated in the local government code. Unfortunate, some youth council cannot use this as it was not being implemented in some localities. During that time, our funds are taken from the community sports development fund. Your funding will rely on the support of the elder community council. It took some years before KB funds was finally allocated in our respective community. In some areas they have no funds at all and have fund raising project in each barangay. 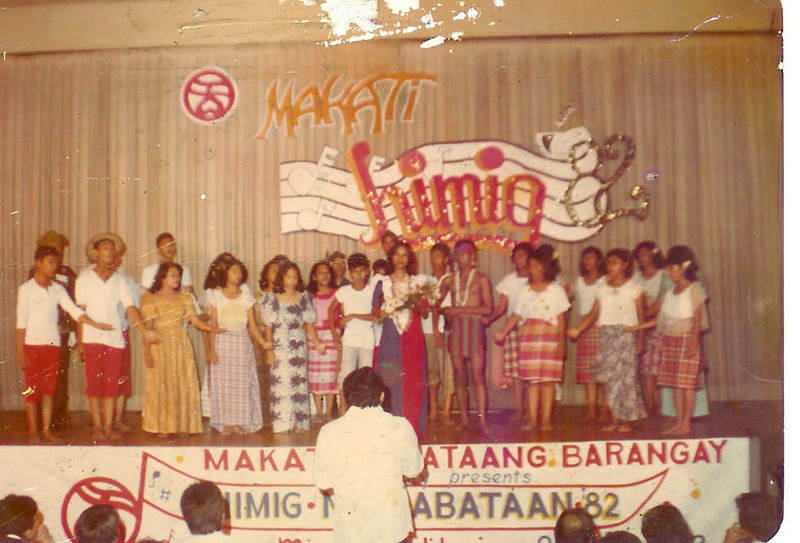 We have projects on cultural development like Himig ng kabataan, dulaang KB. Sports programs like basketball and volleyball and other tournament, we have fun run. Mass Jogging, we also have anti-drug abuse seminars. Based on the needs of the youth they have come out with projects for Out of School Youth (the Batarisan Program) Some of this programs can be found in our of the KB Project Manual. 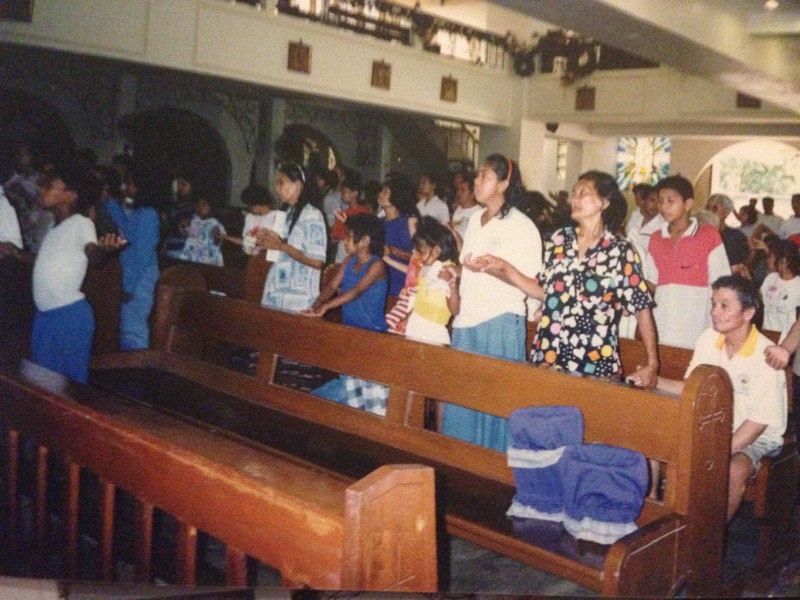 San Antonio Village is divided into a 4 different sitio or section. A B C &D and each area has it own sports manager. 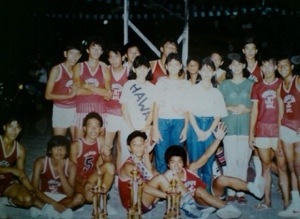 For many years every manager funded uniforms just to dominate and be recognized to be the best in the barangay. This situation leads up to fight among the players. To end this division we decided to removed the managers in our tournament. We provided free uniforms. About 30 teams participated in this basketball – volleyball tournament in our village that was held simultaneously in 3 different areas. The significant thing about this tournament was the youth volunteers who gave their free time to serve as referees and table committees for the games. Start of great bonding of youth from different walk of life. 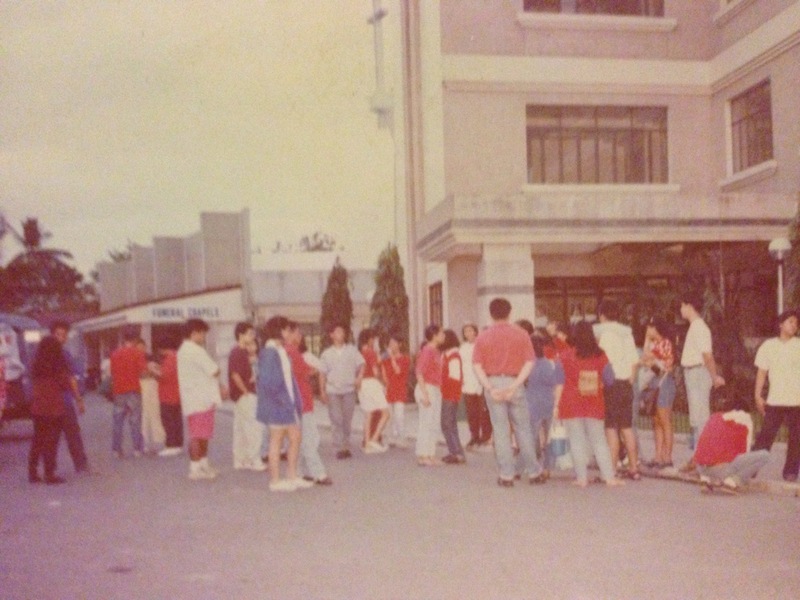 All players from different teams were later selected to form a team to play for the inter- Barangay tournament. 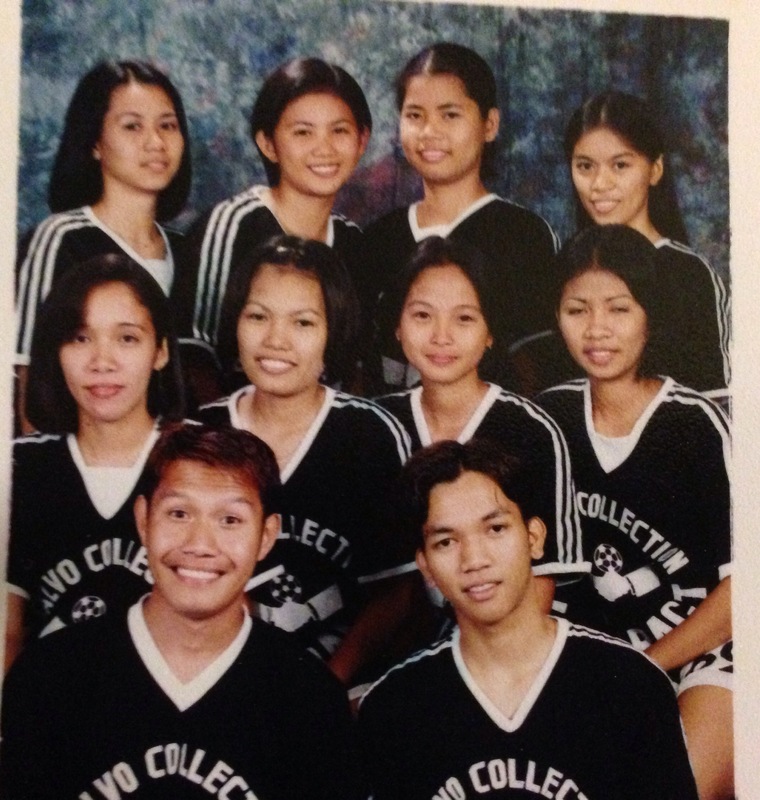 I still remember Richard Gomez once played for Lawaan team where his grandmother lives. We have joint KB community and KB school chapter programs that are formed to address the needs of students in the community. 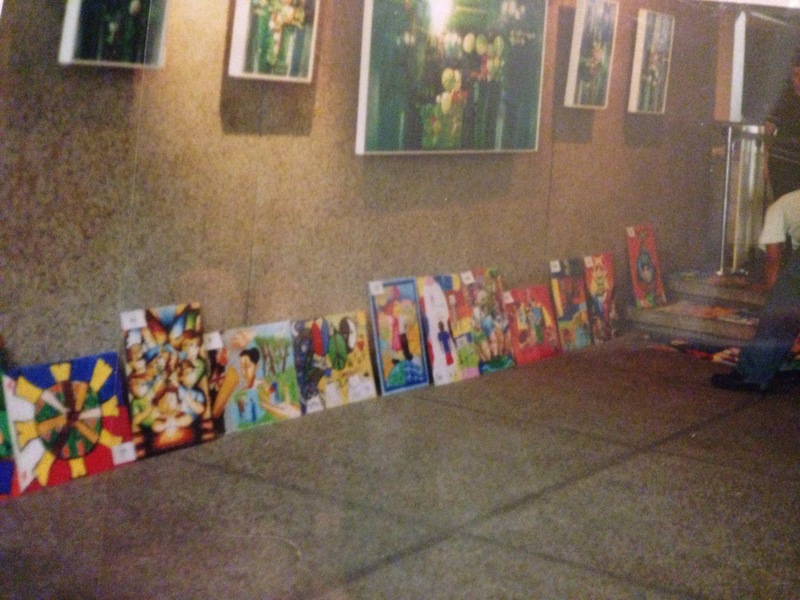 We brought books to the school Library and have anti drugs abuse seminars. 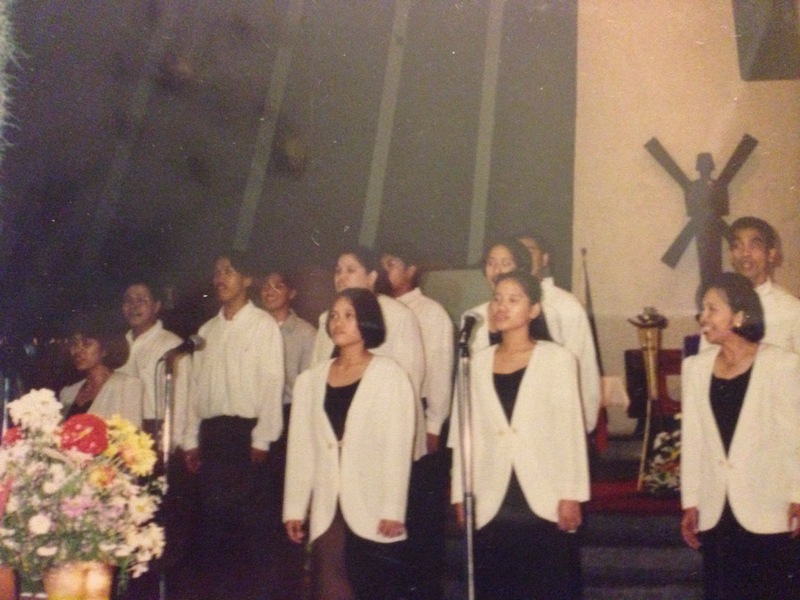 The Youth program like the Himig Ng Kabataan Choral Competition was being held in different cities and Municipalities. The winners compete in the Regional Level, in our case Metro Manila and represent our region for the annual National Himig ng Kabataan Competiton. 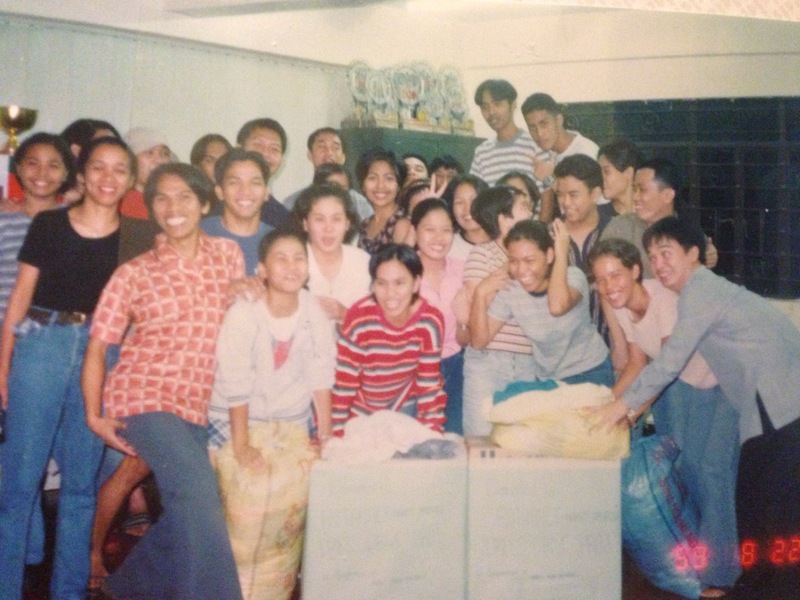 During the Kabataang Barangay days we have our training at Camp September 21st at Mt. Makiling, Laguna. We were given lectures on leadership, parliamentary procedure. 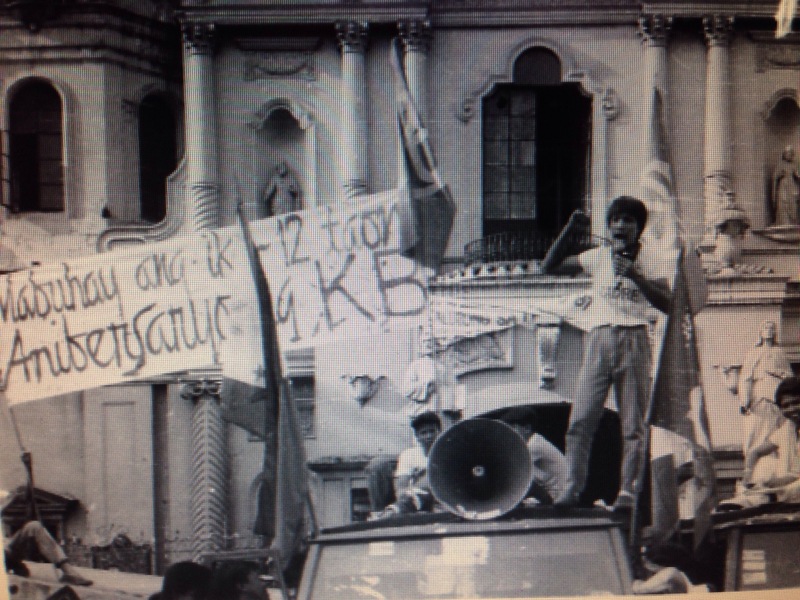 Photo: Ka Luis Taruc a nationalist leader. 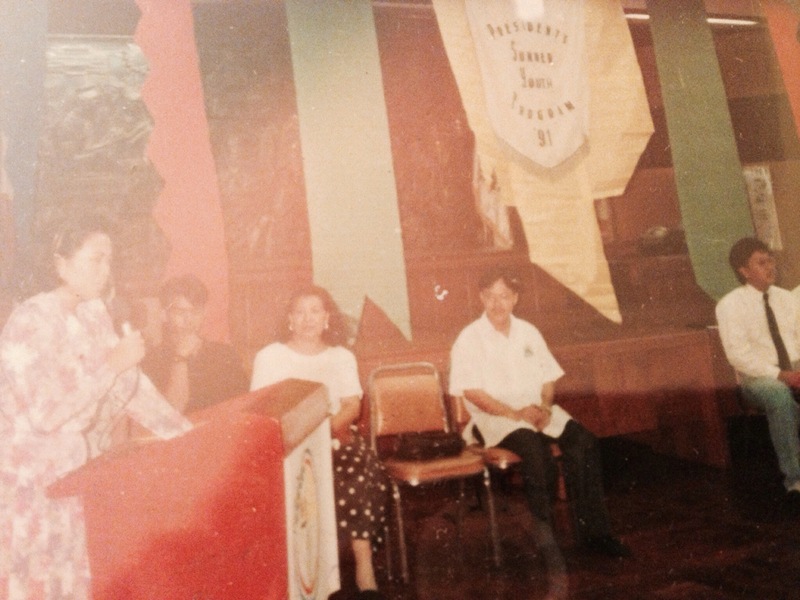 Former leader of the HUKBALAHAP. 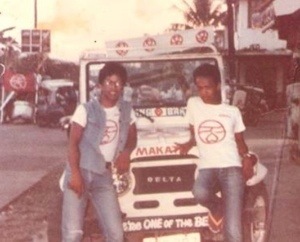 1985, I was hired as a kabataang Barangay Youth Development Officer under the Office of the President and was assigned as Makati Kb assistant coordinator. 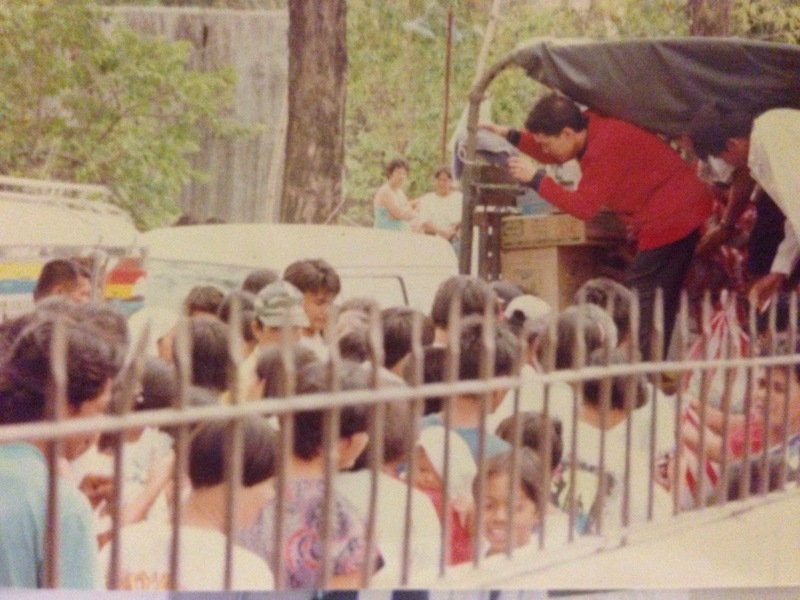 Kb leaders were trained in this camp like Mayor Herbert Bautista of Quezon City. 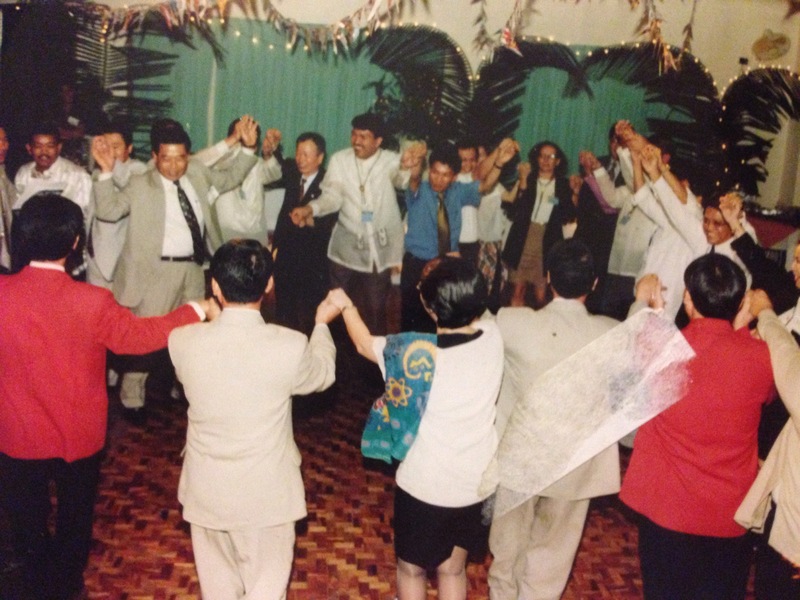 Presidential Candidate Gibo Theodoro among others. 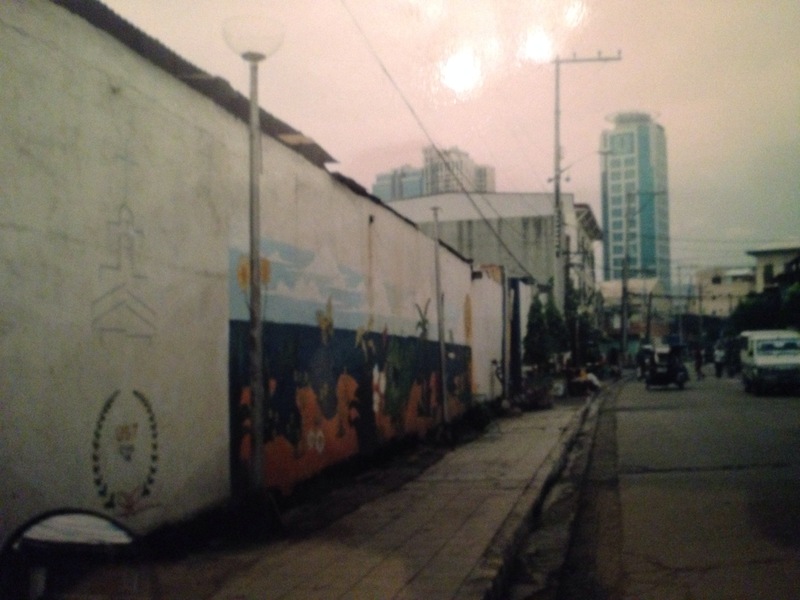 Kabataang Barangay After Edsa Revolution. Some local government had conducted their youth election using a different name while some continued to follow the provision of the local government code having their own local KB election. As a KB youth leader and a former KB Staff I was summond to give light on the provisions written on the KB contitution and local government code and most imporantly the Role of the youth the Local government. 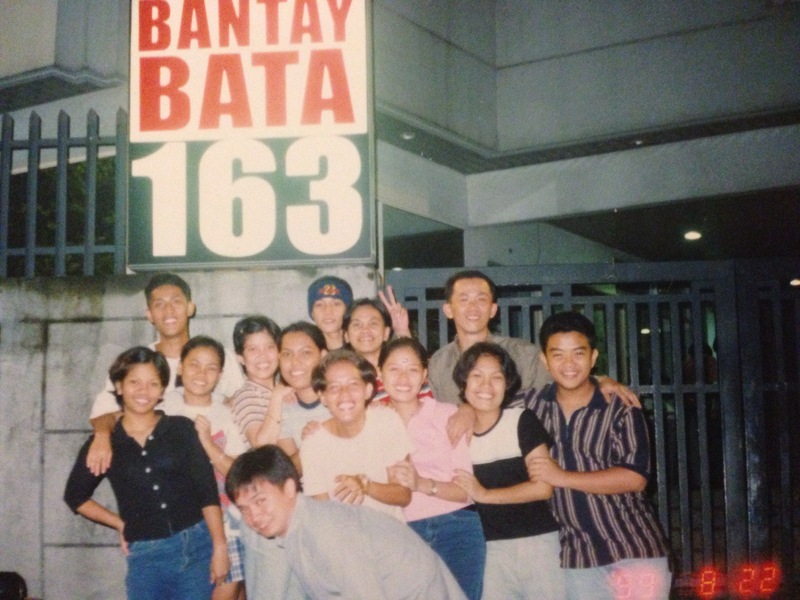 The ruling of the court settled not only the case of Makati city where they elected new sets of youth leaders with a new organization but also some local government who conducted KB elections in thier locality. 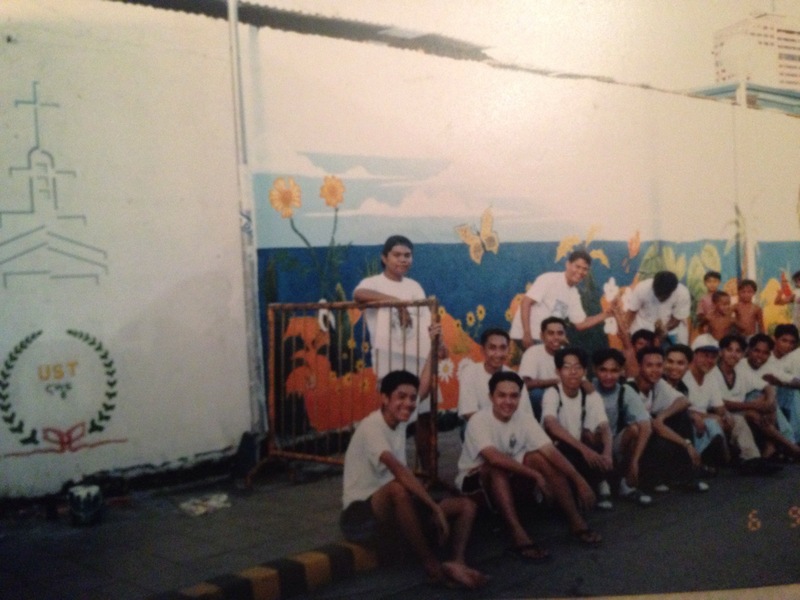 YOUTH PROGRAM IN THE COMMUNITY AFTER EDSA. With the abolition of KB, our community youth leaders, took upon themselves to form Concern Youth of San Antonio spearheaded by one of our active youth leader. Bajun Cabral. 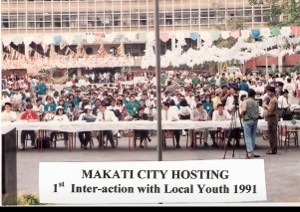 The clamor for youth representation continued to be the voice of the youth in different venues. Kb stood on their ground as street parliamentarians. 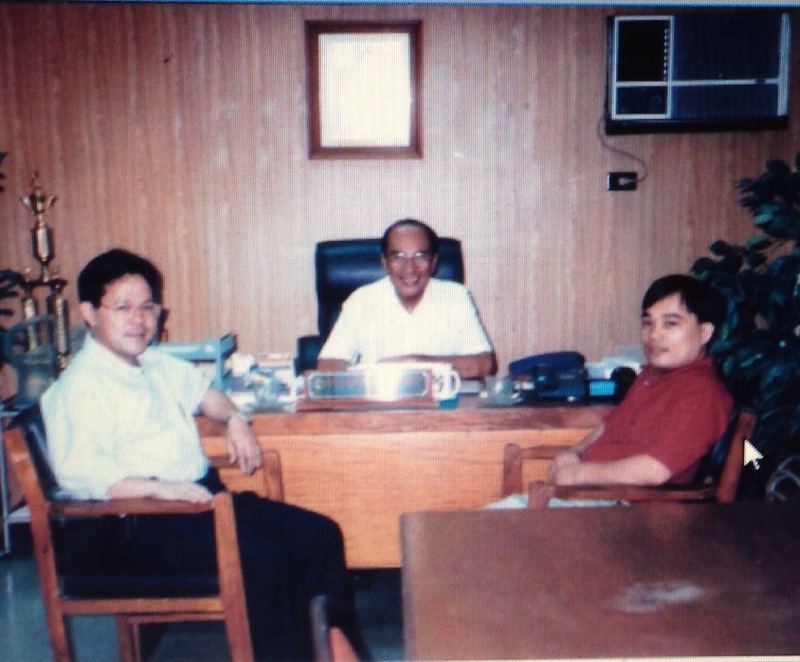 1990 came back to serve the government as a legislative staff officer under Councilor Raul Oloy Javier also a former KB chairman in Makati. He convinced me to join him and work towards our dreams for the youth in our City. 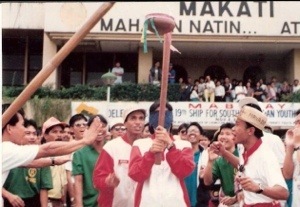 His priority project was to provide a sport facility in all the community of Makati. Makati sponsorship of the SHIP for SOUTH EAST ASIA YOUTH PROGRAM (SSEAYP) interaction with Local youth. 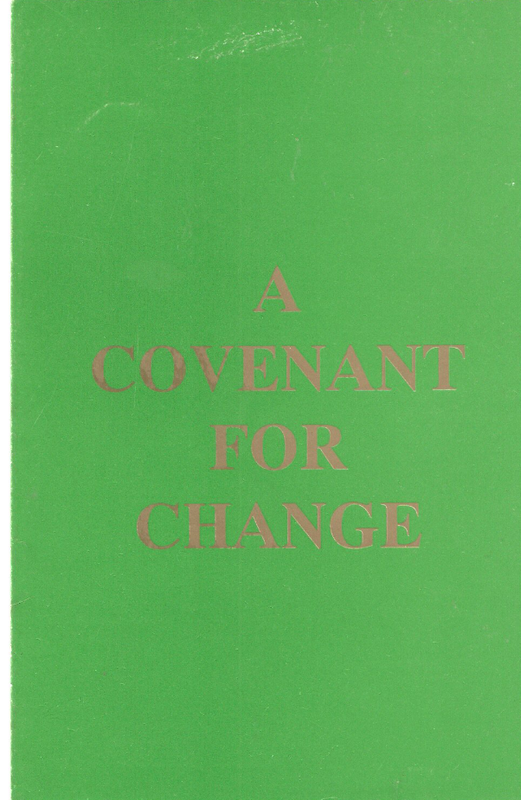 The hope of reviving youth participation came with the creation of the 1991 Local government code (Republic Act No. 7160) by Senator Nene Pimentel. 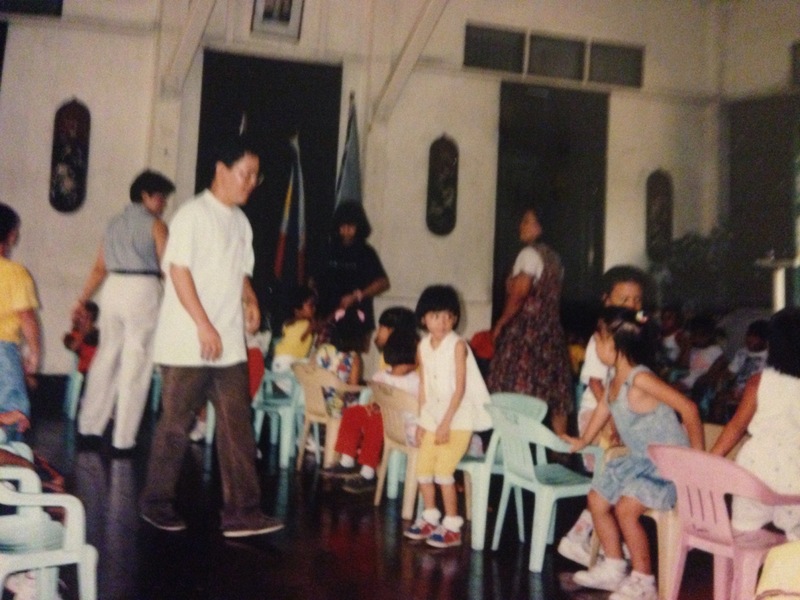 During that time, our office get involved with the working group of SK creation and been monitoring every move in the senate as they voted for the creation on the Sangguniang Kabataan . 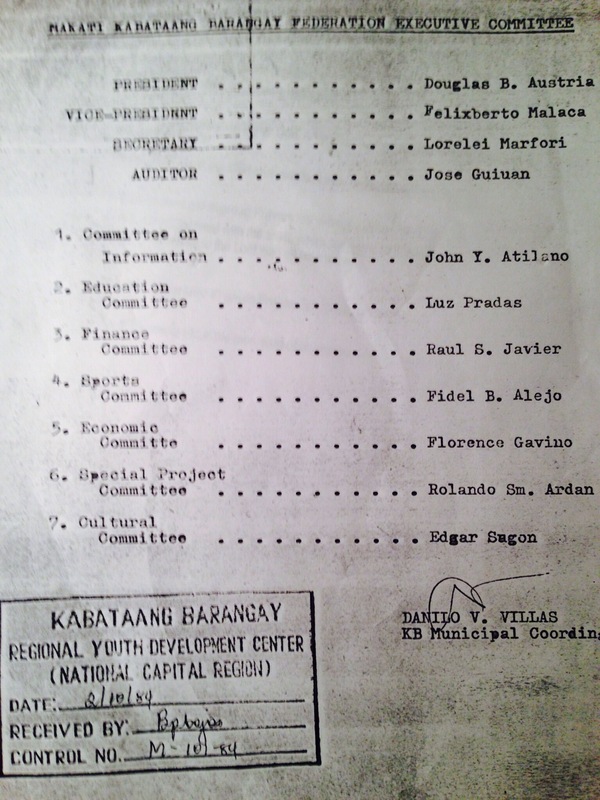 Our KB file in Makati was used as legal notes in this deliberations. The DILG legal office and PCYA was truly instrumental in this passage. 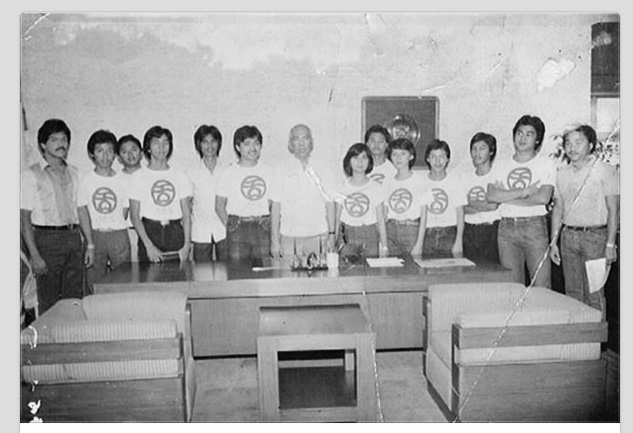 Fast forward we were chosen to be part of the SK trainers for the newly elected officers in 1991. 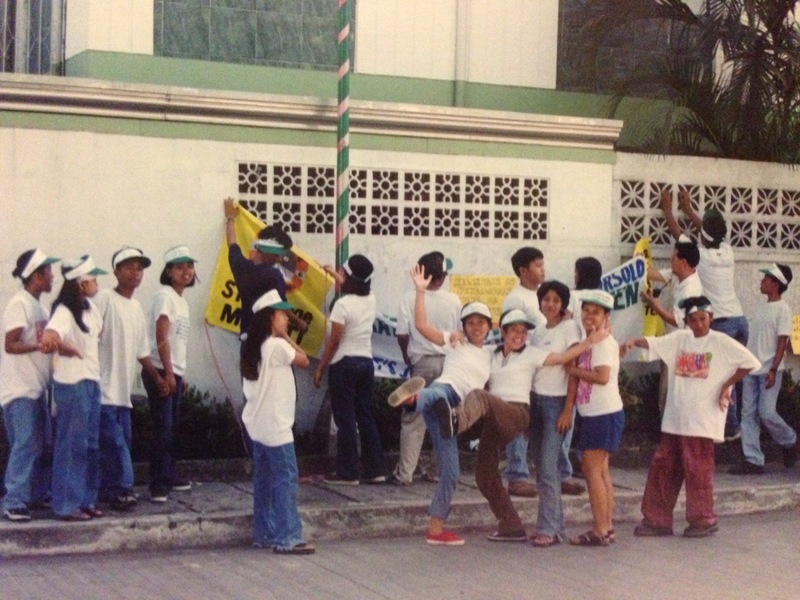 1993 Makati had their first Sangguniang Kabataan Leadership training in Corregidor headed by Sk President Jun jun Binay. 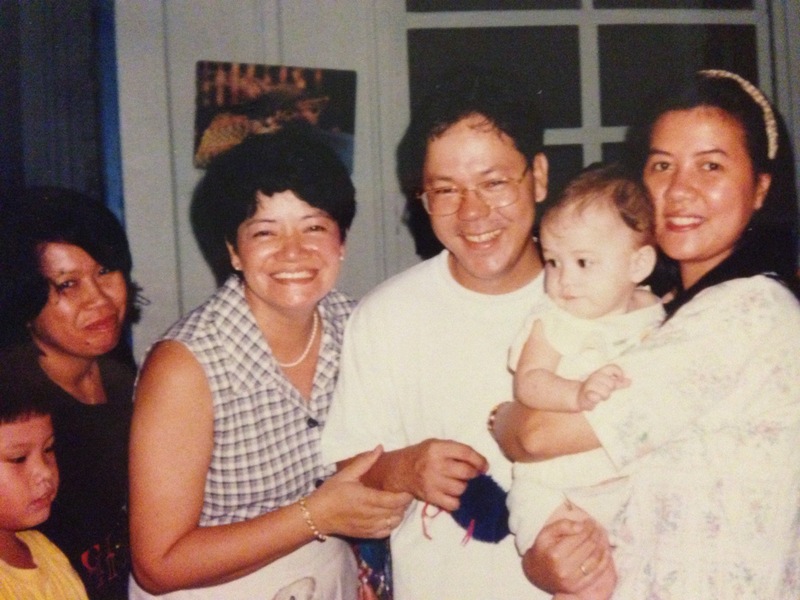 A new set of future City official for Makati. 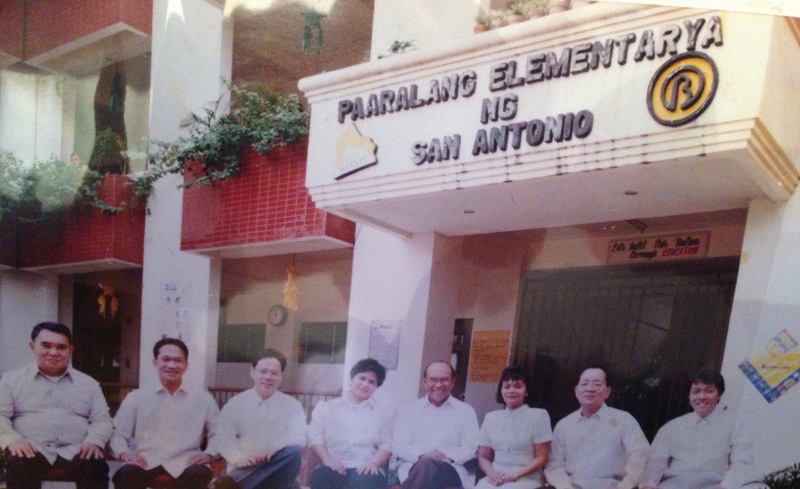 City Mayor, councilors and barangay officials. With Youth Commissioner Felizardo Sarge Colambo. 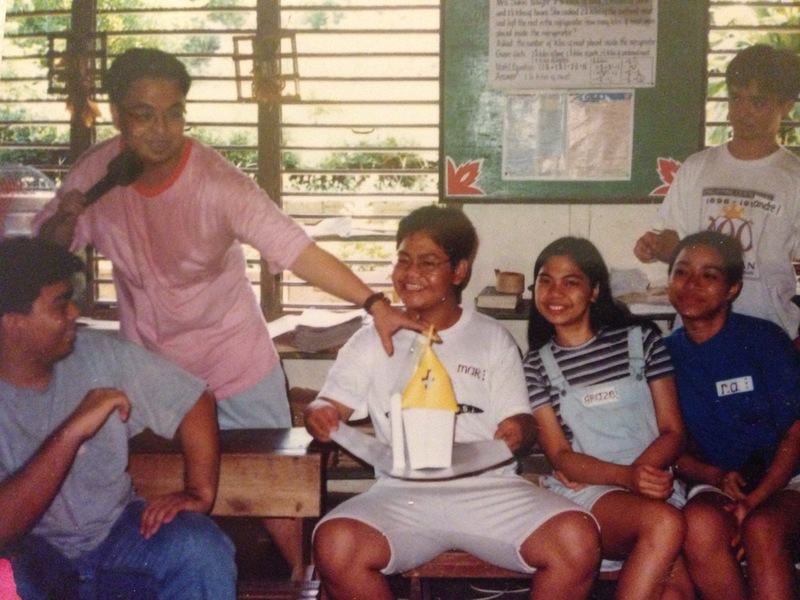 Young Councilors Lead by Councilor Kiko Pangilinan created the National Movement of Young Legislators and our office was part of the preparatory committee. Hopefully with good national program in place, Sangguniang Kabataan be able to get a set of good leaders. Let us give them inspiration, guide them, provide them moral, national pride and dignity to truly serve our youth and not just seek the position for their own benefits . Its sad to note that some people say that this became a ground for corrupt leaders. 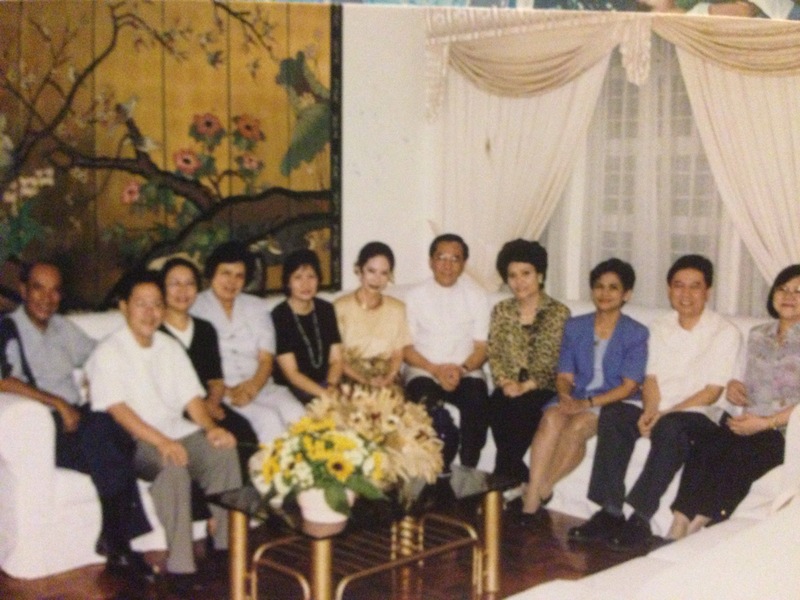 Bata pa lang corrupt na. May this testimony leave a positive note. BAWAT GALAW MAGING MAKABULUHAN. May they be like our National Heroes willing to sacrifice for our motherland. KB ! 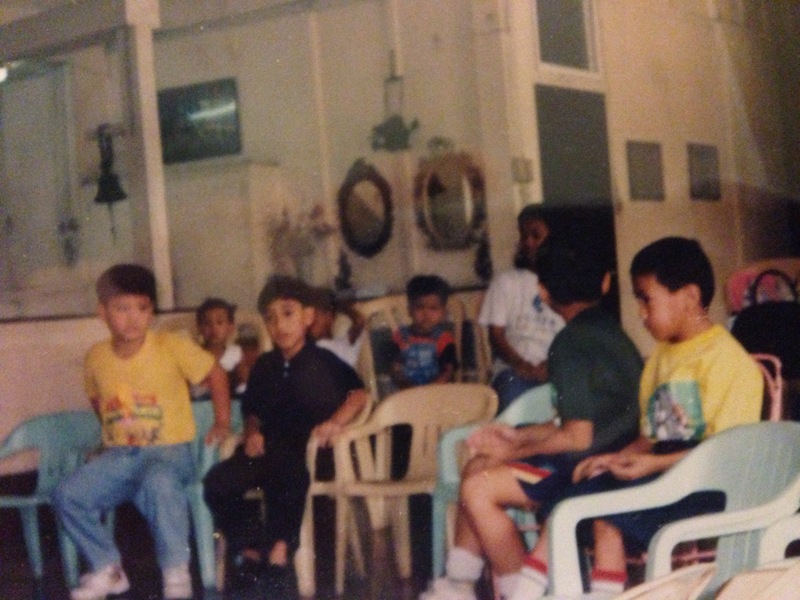 The Eyes and the Mouth of our Youth Noon hanggang Ngayon. Happy blogging! This blog is an expression of my self, my work, my world and cumstances that i have been in my past. Enjoyed my fruitful life and would want to share my experiences to learn from them in the hope that it will inspire others. Others may say who cares. 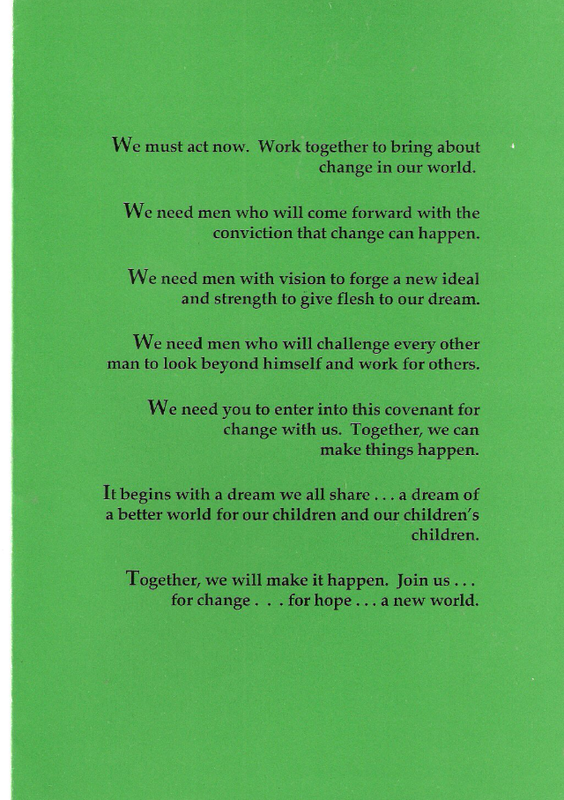 This is not about me, it about the youth, community that was transformed to be a better world because they want change it did happened because they change. A better person, a better community. 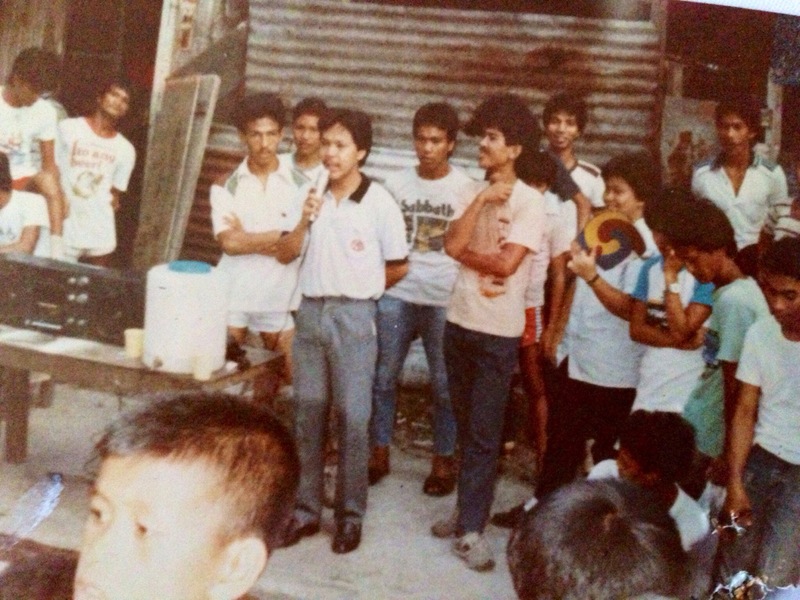 John Atilano a youth community leader elected in 1989 in San Antonio village Makati. Philippines. 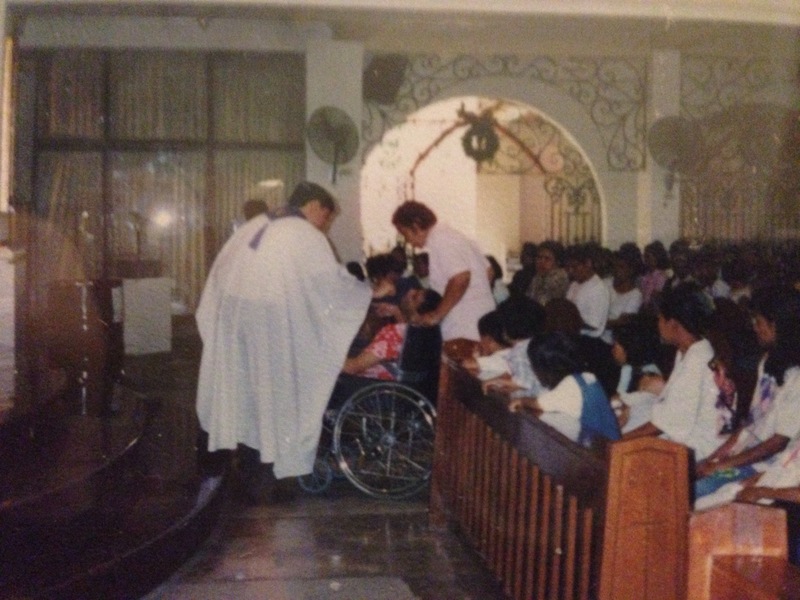 after his term of office was awarded as most outstanding kb chairman in Metro Manila earning him to represent Metro Manila KB In the Annual Gawad Parangal ng Pangulo for community service in 1985. 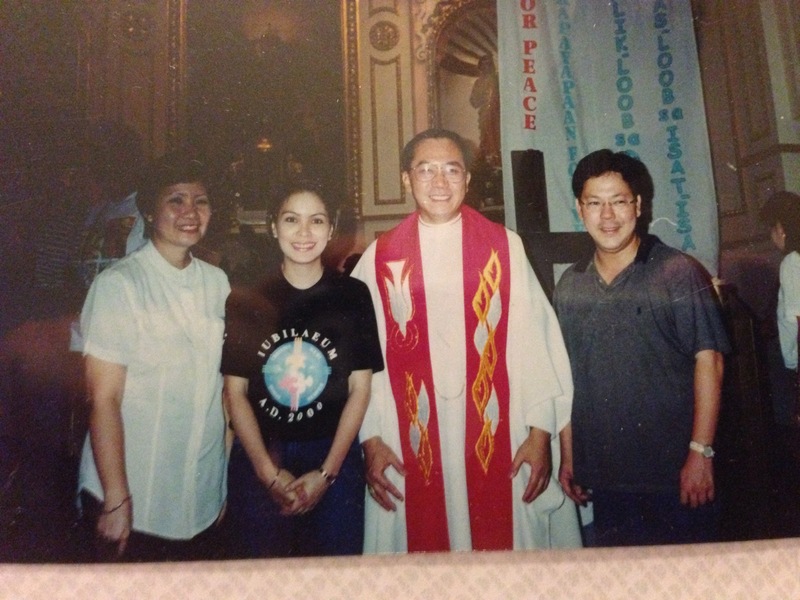 He continued serving the Youth this time as a Makati Assistant kb coordinator under the office of the president till 1986. 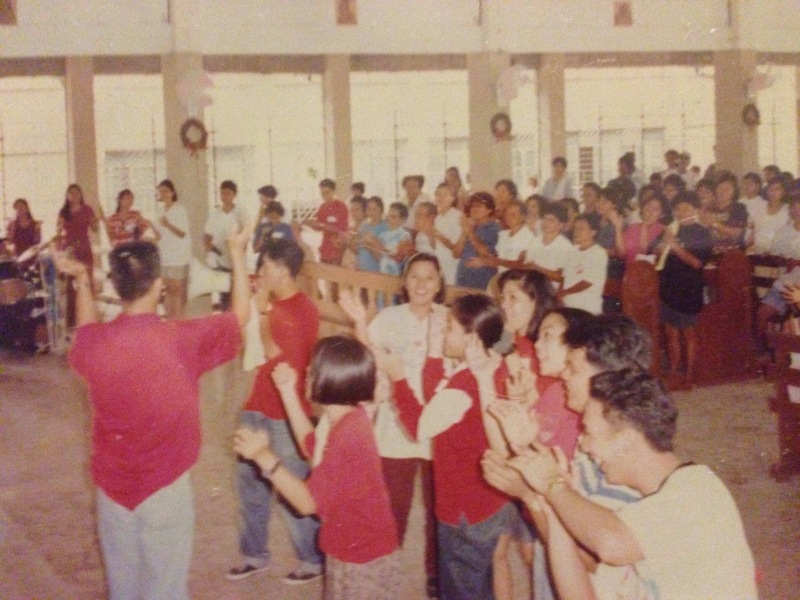 Entered government service in 1989 as a legislative staff officer under the office of Councilor Raul Javier of Makati implemented numerous project that includes the 1st Presidential Summer Youth Program and the Philippine Inter action program with local youth of the ASEAN Japan ship for south East Asian youth Program both under the office of the Presidential Council on youth Affairs. 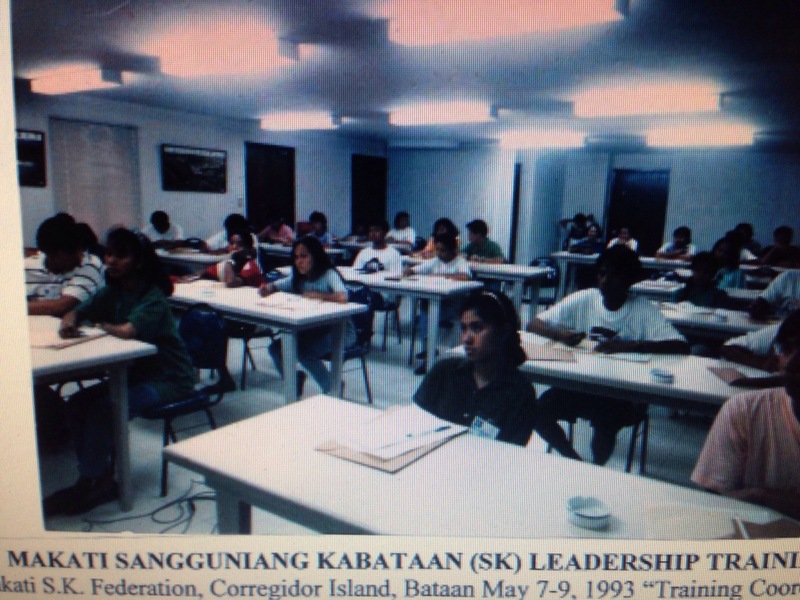 Was involve in the creation of the Sagguniang Kabataan of which has given the opportunity to attend the 1st trainor’s training of the SK at the development Academy of the Philippines. 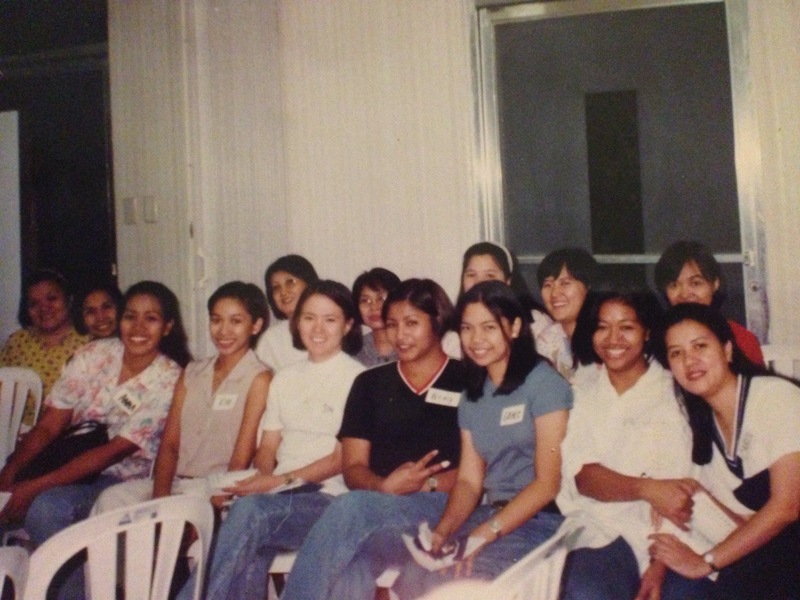 Mentored and facilitated the First Sk Training for Makati City. 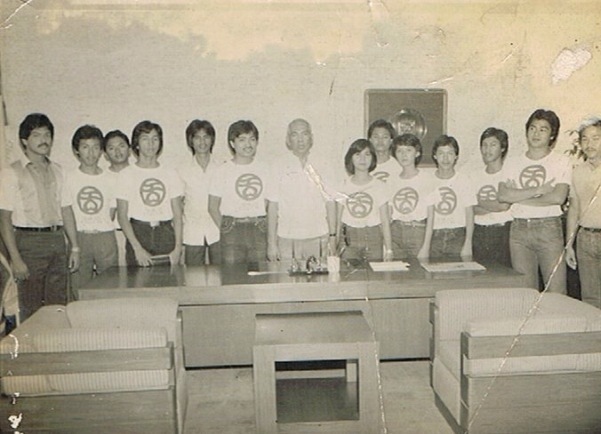 Member of the preparatory committee in the creation of the National Movement of Young legislator headed by then Councilor Francis Pangilinan. 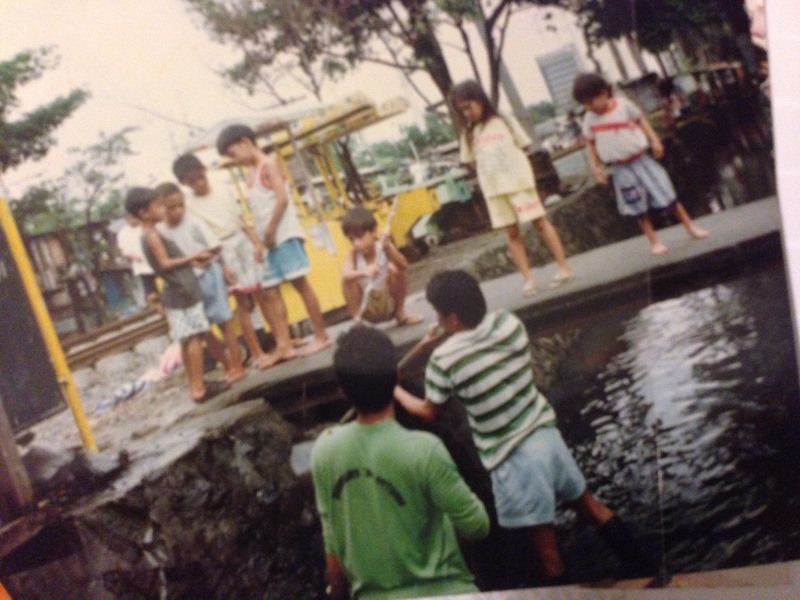 Designated as one of the Makati representative in the Pasig river rehabilitation program. 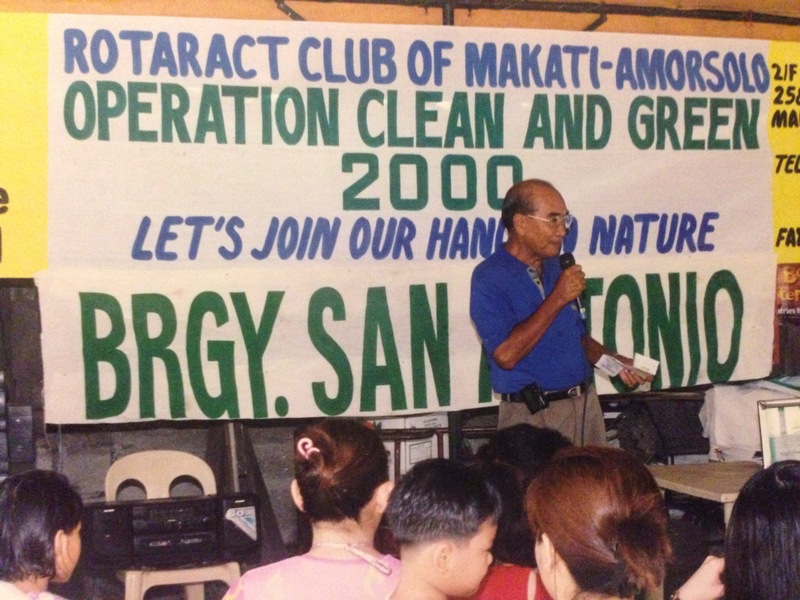 Member of the Makati Task Force on Solid waste Management and later on serve as philippine army reservist. 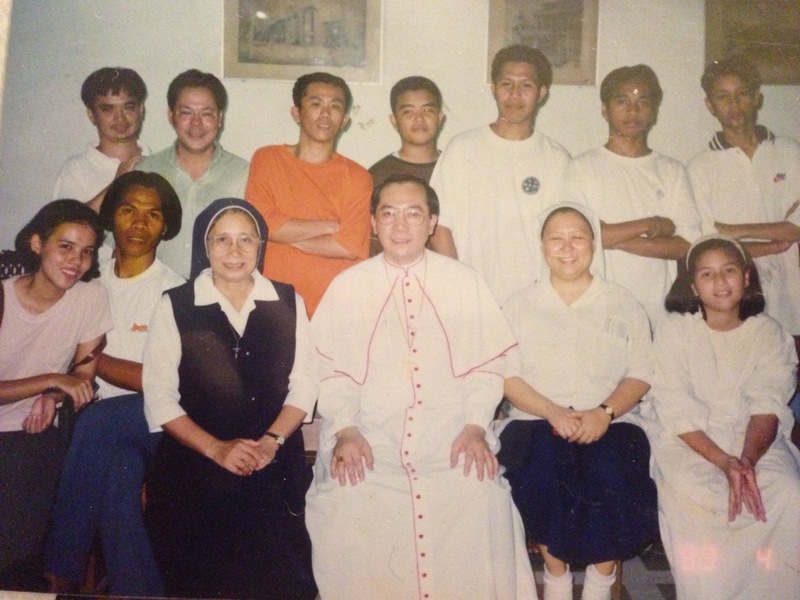 Became active in the National Shrine of the Sacred Heart Parish as a Parish Youth Council head and later on designated as an Assistant Head Parish Pastoral Council. 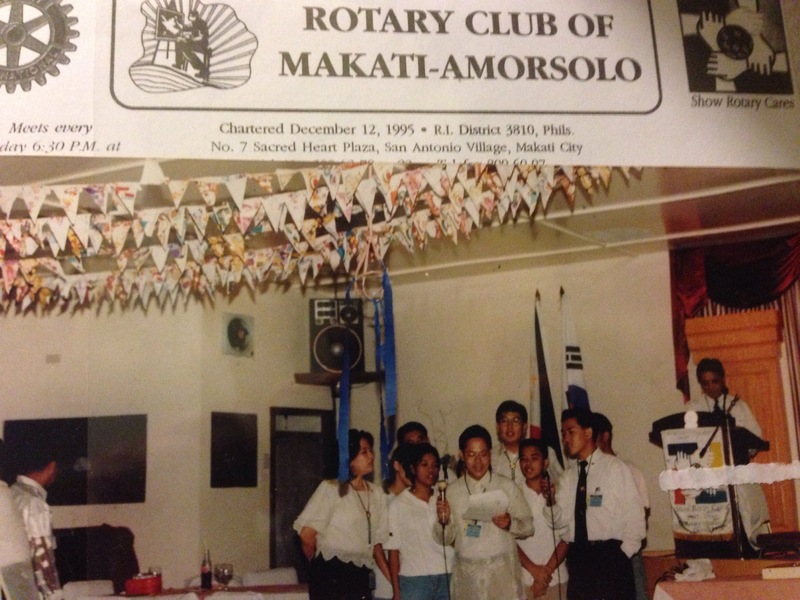 Active officer and member of the Board of the Makati YMCA, charter Member of the Rotary club of Makati Amorsolo and was elected Vice President of the Philippine Asean Japan friendship program (Pajafa 21) . 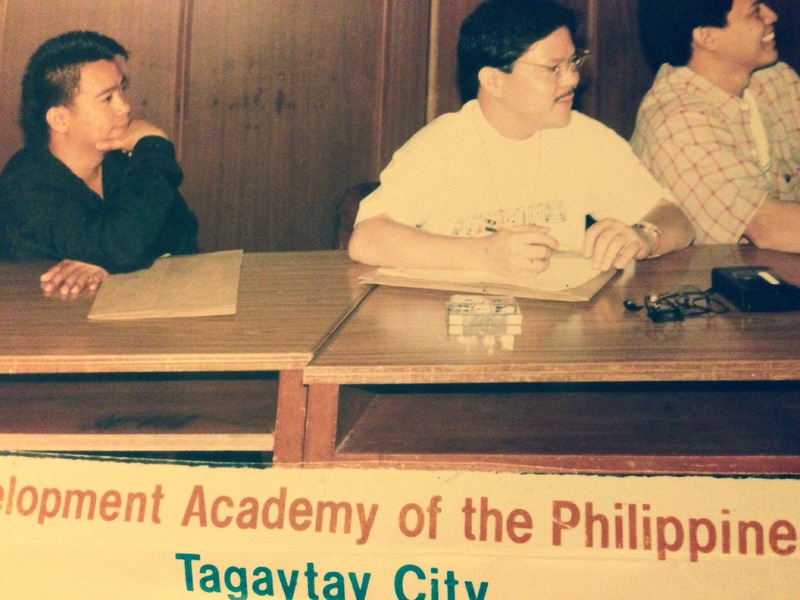 Elected councilor Sagguniang Barangay in San Antonio Village Makati for two term. 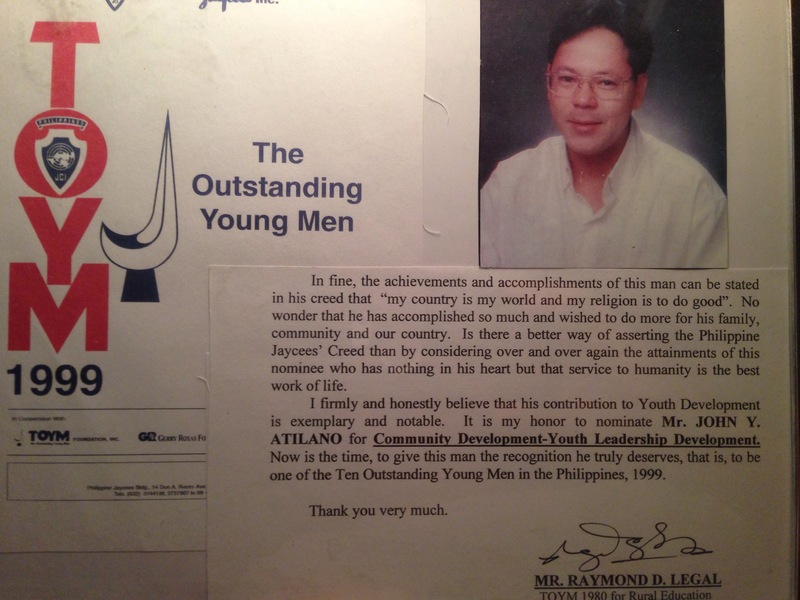 1999 was Nominated as Ten Outstanding Young men of the Philippines (TOYM). 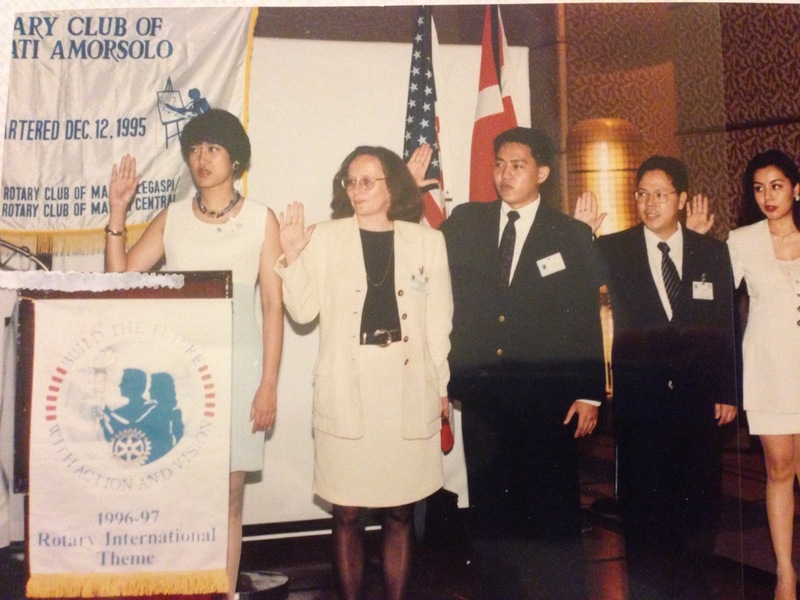 travel to numerous country as philippine Delegate to South Korea, Japan, Brunei. 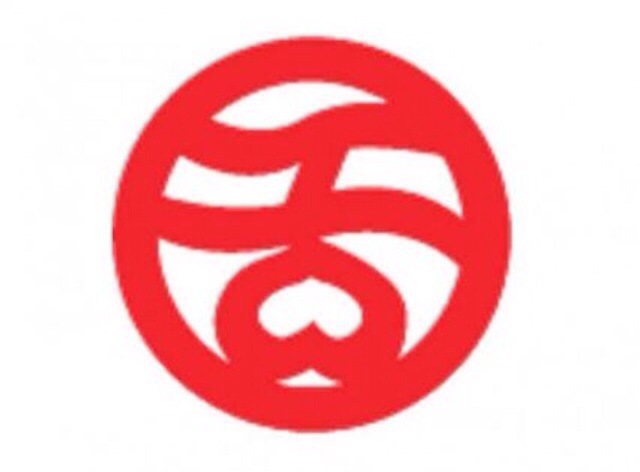 China and Thailand. Migrated in the year 2000 in the US. A new life. A family man. Posted on August 7, 2012 February 12, 2015 Categories UncategorizedLeave a comment on Hello world!